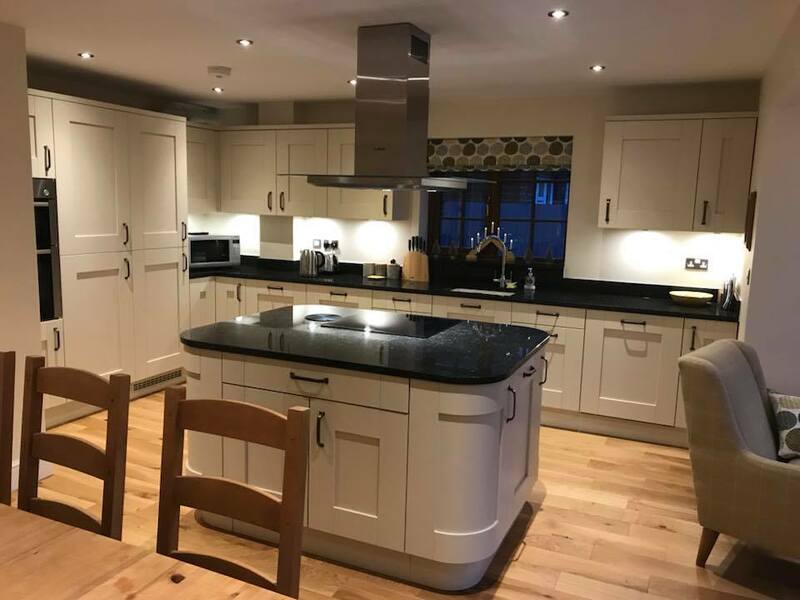 Thanks to Lloyd’s recommendation, we used a local kitchen company, far superior and much more competitively priced than the high street chains. 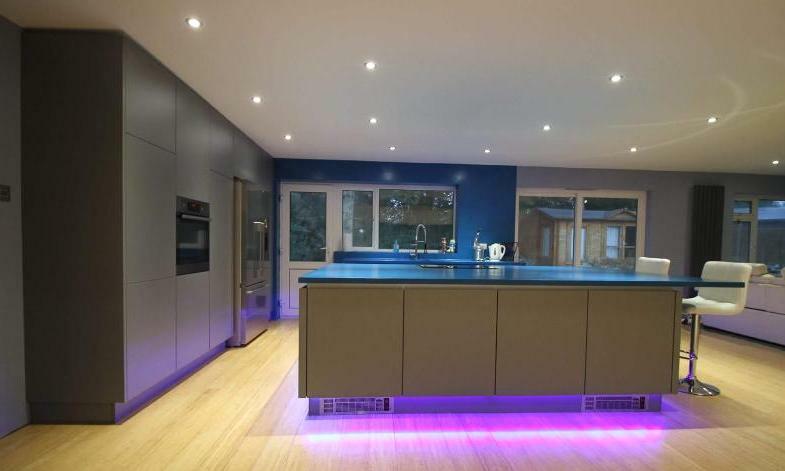 The company were excellent from start to finish and project managed the whole job including lighting, tiling, under floor heating, replacement boiler etc. 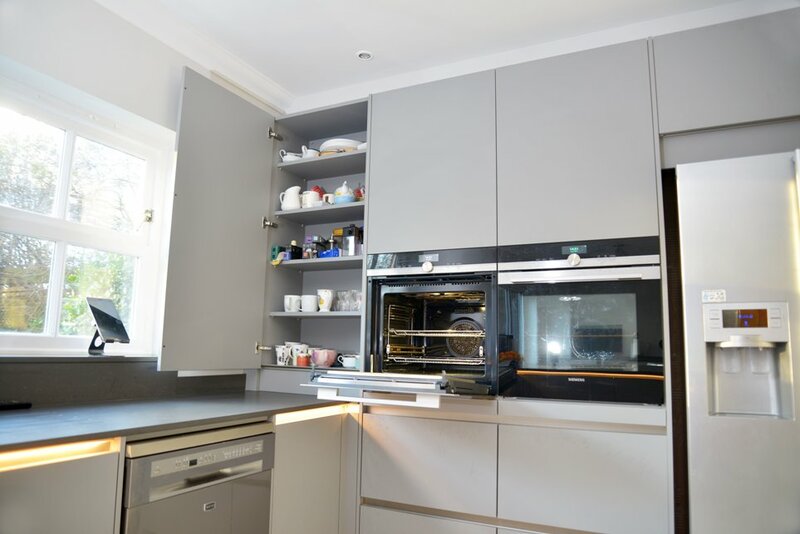 The quality of the cupboards are excellent and we are very pleased with the end result. 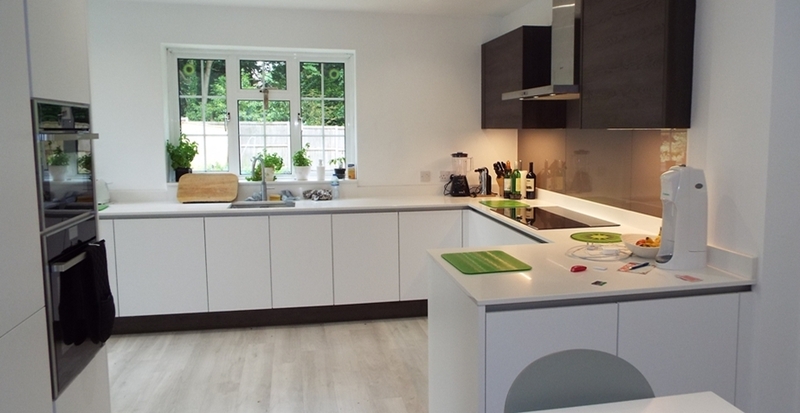 Thanks to Lloyd’s help, we got a luxury German kitchen for the same price as a Howdens kitchen via our builder! 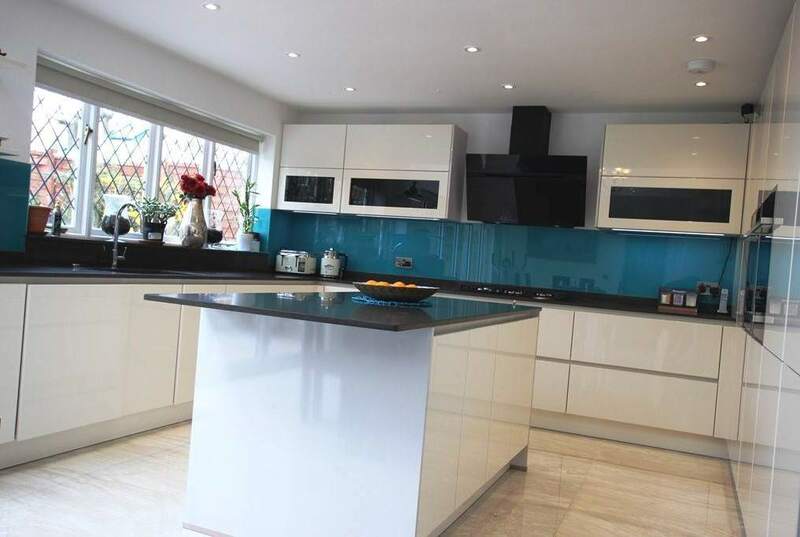 The kitchen is amazing & is far higher quality than a Howdens kitchen. Hi Lloyd, just to let you know I put a deposit down with the showroom you recommended today. In the end the German kitchen is costing me more than I originally budgeted for… But I’m getting an entirely different quality product. 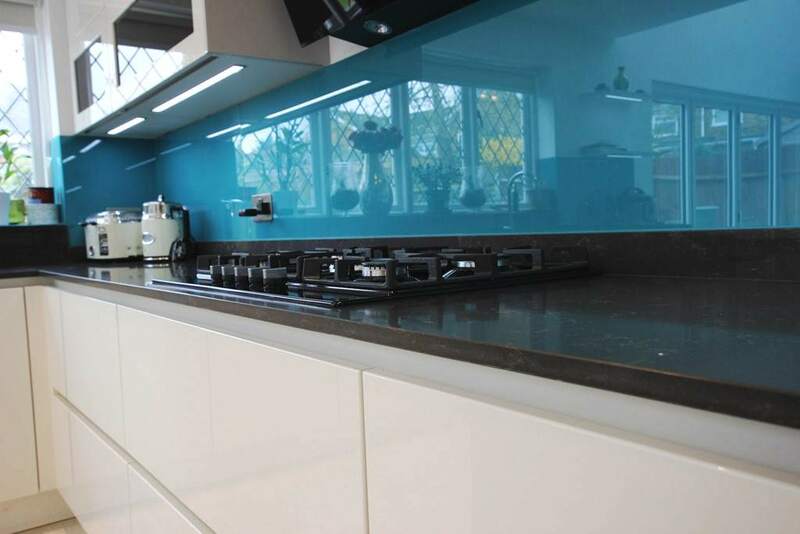 It’s going to look great and you were right about the quality, it’s very noticeable compared to Howdens. The wife is delighted, I really had no choice once she had been to the showroom! Thanks for the referral and the advice. I have visited 7 kitchen showrooms in the last 2 weeks. Lloyd you are good as your word and the kitchen your guys came up with is far more competitive than anything I have had quoted so far and the quality is in a different league. So whatever anyone else has to say they haven’t done the intense research I have in the last few weeks or they’d be slapping you on the back harder than I am! Thanks for all your help Lloyd. The showroom you recommended came in about £7,000 cheaper than the showroom we were about to order from. 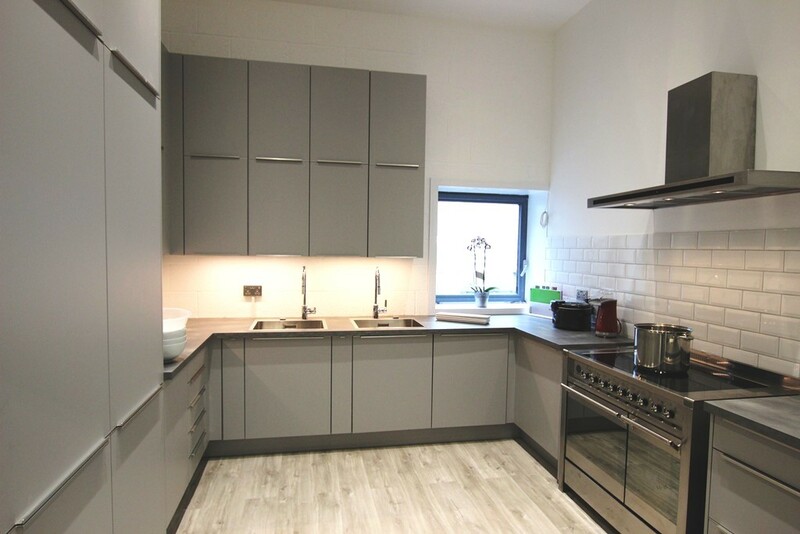 Whats more, the German kitchen they offered me was of comparable quality. Am I pleased I found your website! I’m just dropping you a note to let you know that I took your advice and went with the shworoom you recommended. 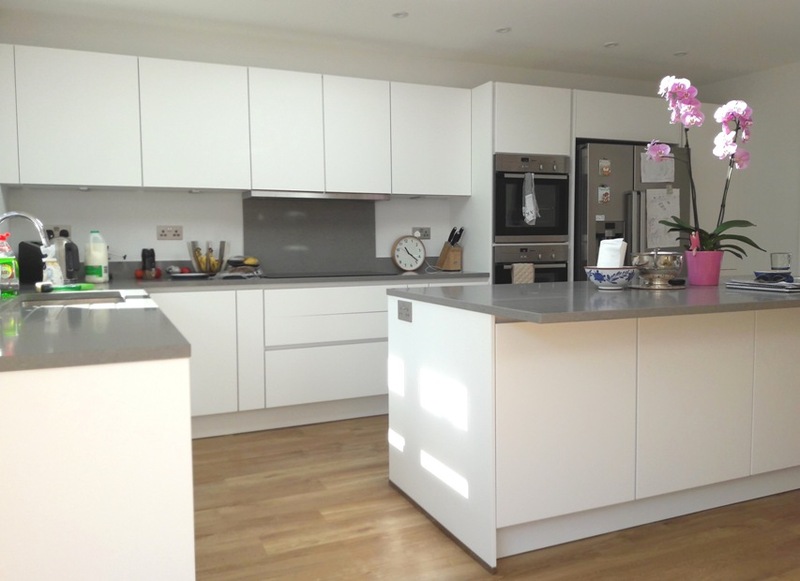 My kitchen is due to be delivered this week and the whole process from visiting the showroom to design has been simple. Stuart is very professional, knowledgeable and knew what I wanted. 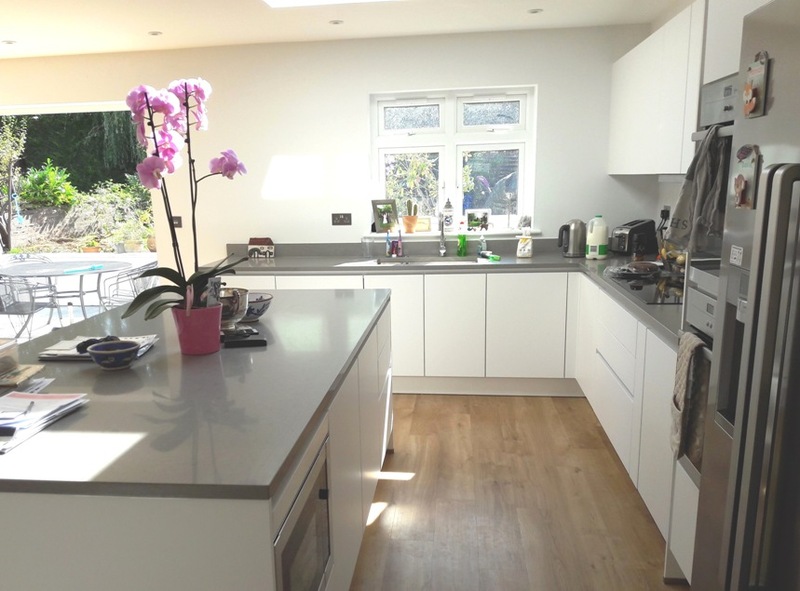 After Stuart came to measure up, he sent a CAD the same day giving me a good visual of what my kitchen will look like. I was pleased with the choice of appliances as I’d have chosen NEFF anyway and Stuart gave me a run down of how oven works etc. I was pleased with the price. 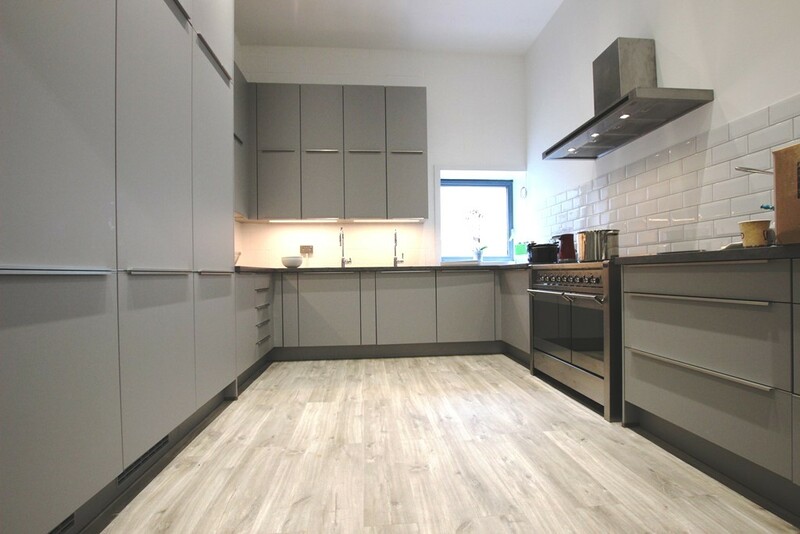 I renovated a kitchen before and knew what to expect price wise. Thanks for putting me in touch with Stuart & for giving me another option other than Howdens/Ikea/Magnet etc. 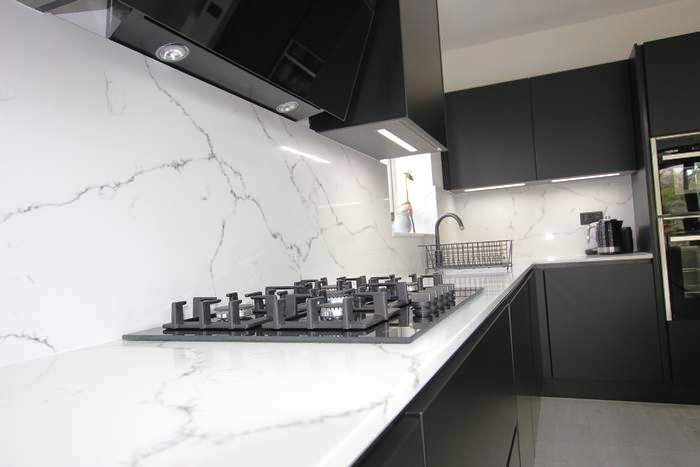 The company Lloyd recommended was 5 star could not fault anything, after sales was 5 star I would recommend them to anyone..
My experience at the showroom Lloyd recommended was great. 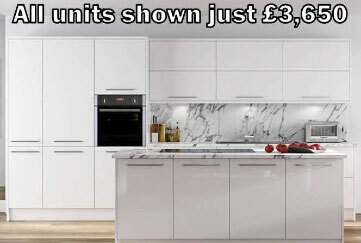 I Got a lovely kitchen at a really good price. Jay and Mushtaq were brilliant – friendly, fun and always very professional. 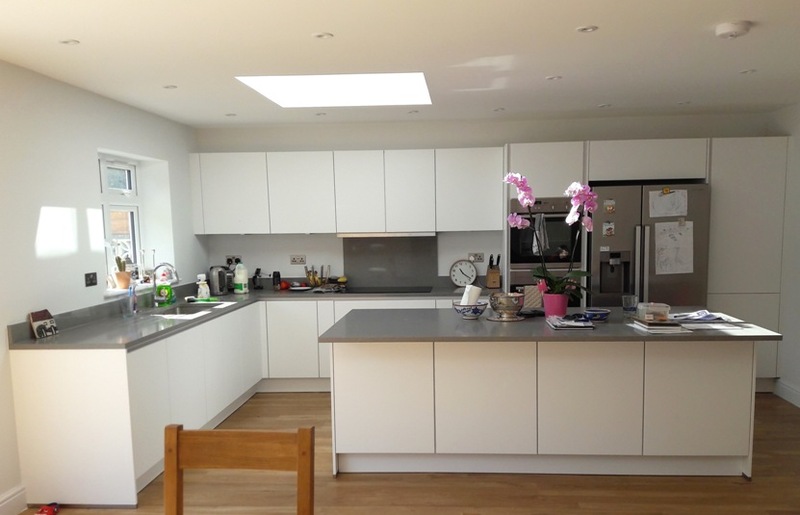 They designed my kitchen with me using their software, came and measured up the actual space, then delivered it and checked in that everything had worked out ok. They were also very patient with all my annoying questions! I Can’t recommend enough. (Plus great to go with a small local business who are working hard and doing better than the massive corporations). Infinitely better than Wickes, Wrens etc which I also checked out. Much better quality than Ikea and the price was even competitive with them! 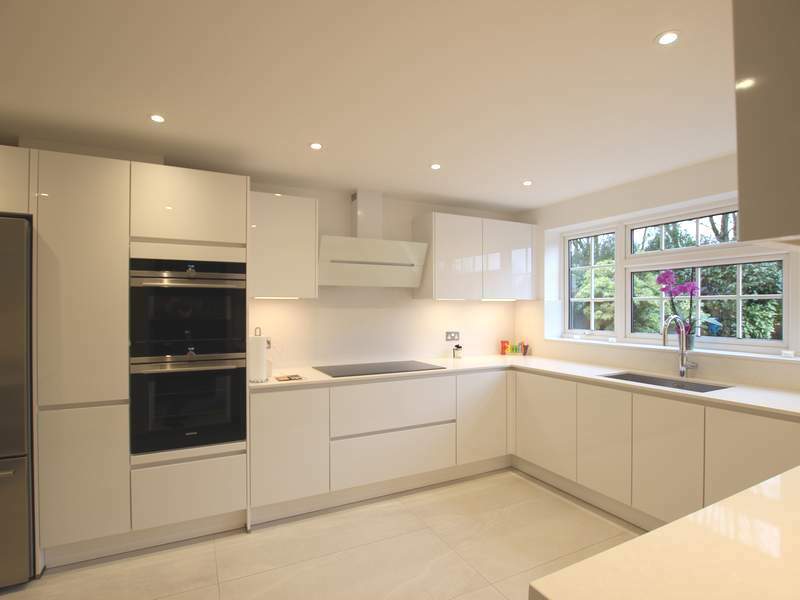 Hi Lloyd, I contacted you in September last year looking for advice regarding a company to install a new kitchen for me. You recommended a local company who I contacted. 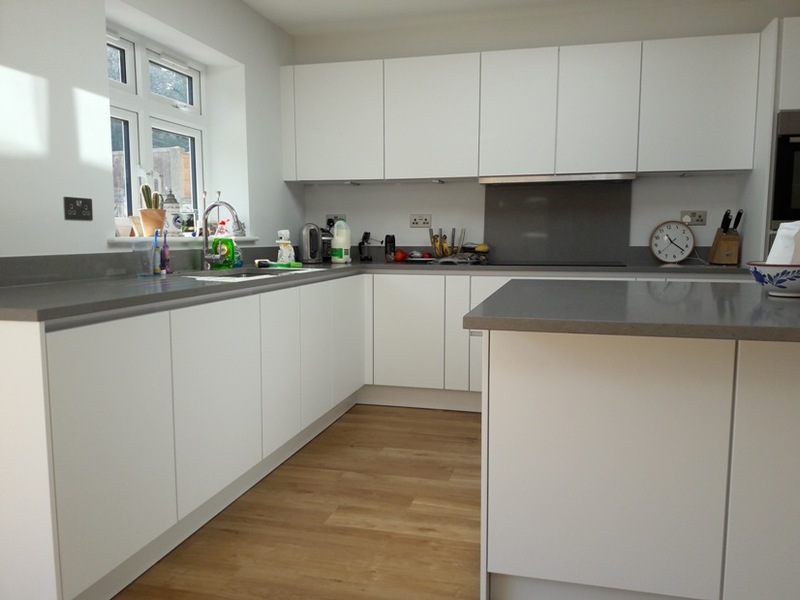 Paul and his team have since supplied and installed a new kitchen for me which I am very happy with. So this is just a thank you for putting me in touch with this company. 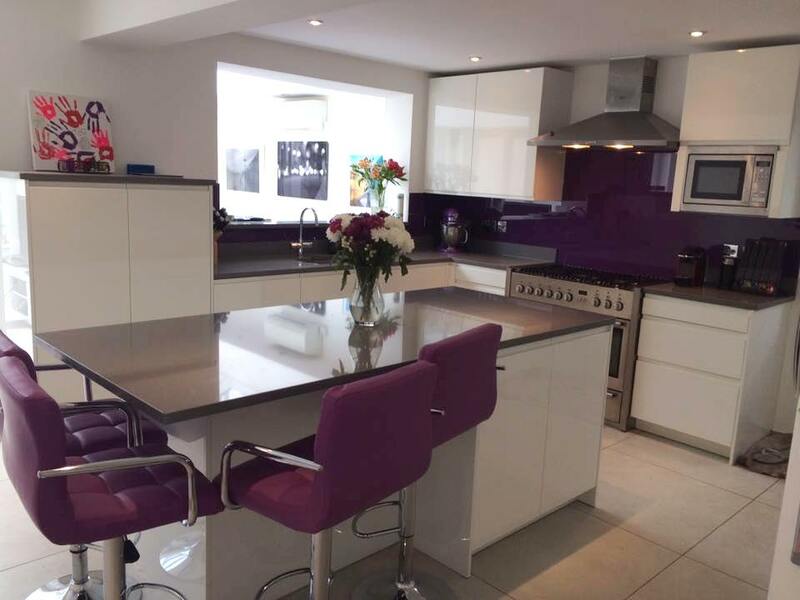 Thank you so much for all your help in creating the kitchen of our dreams! As you can see, it is looking wonderful and is just what we wanted! 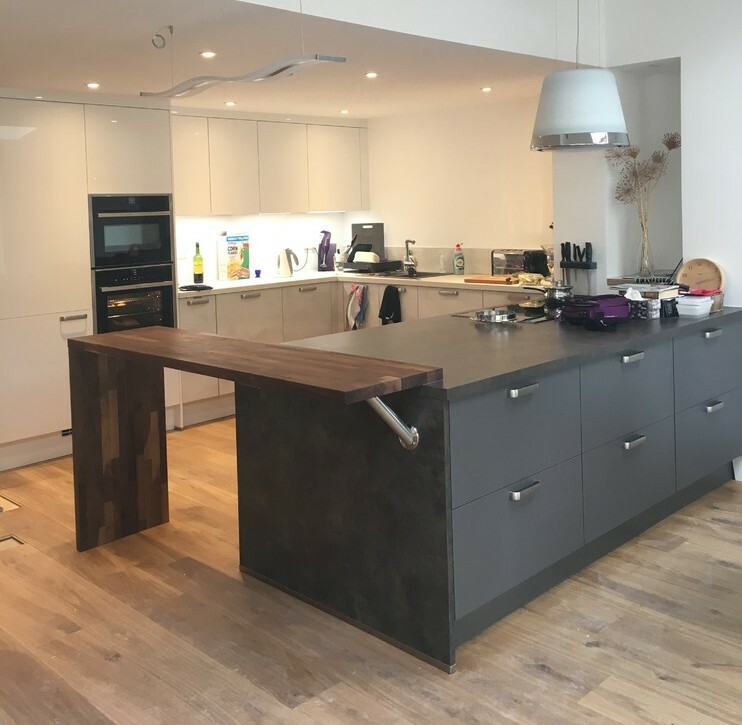 From the start the showroom you recommended really understood what we were trying to achieve – which was not true of other kitchen designers we visited. They made very helpful suggestions and guided us well when we were unsure about details. Everything about their service was excellent from planning to ordering and delivery. 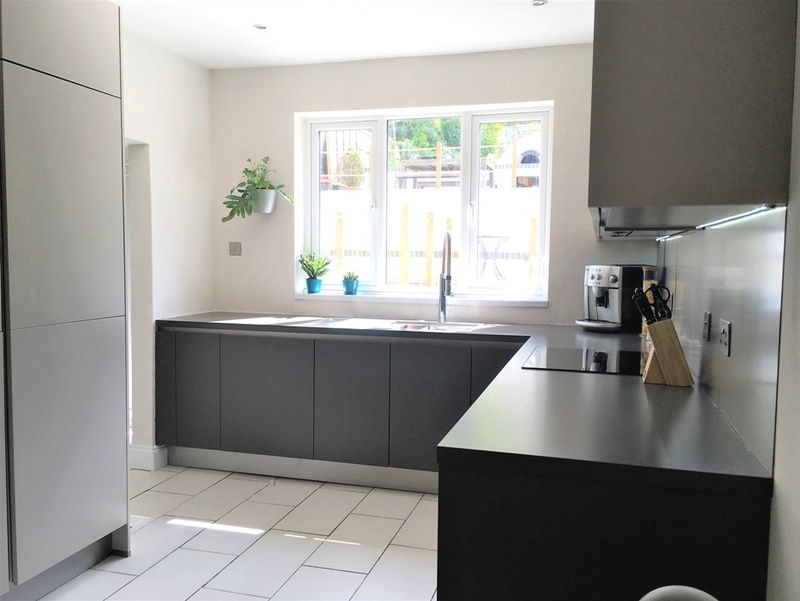 A couple of minor glitches were sorted out swiftly and with the minimum of effort on our part – although, I expect, rather more on their side…They took all the organising off our shoulders and made the whole experience, for us, feel effortless – which greatly added to our pleasure with our new kitchen! 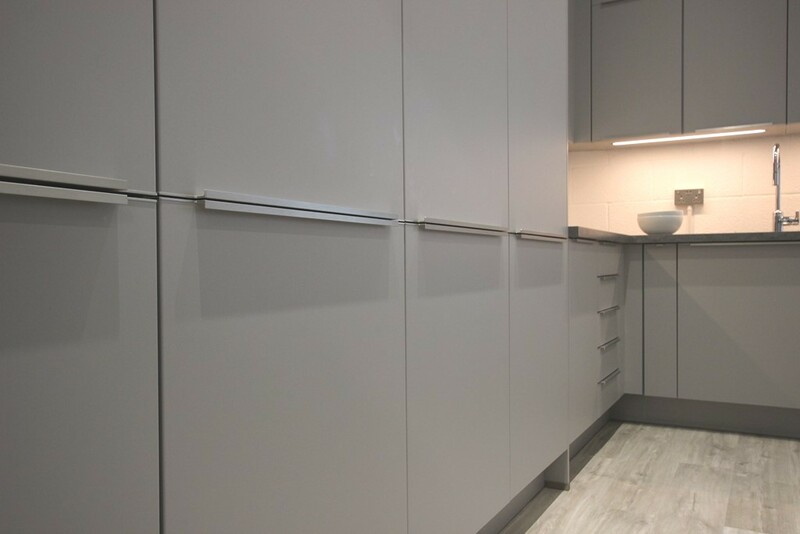 Although the showroom only supplied the kitchen (as we were having a lot of building work done at the same time), their help and advice to our builders was invaluable and the units they supplied are of a very good quality – the builders were impressed too! 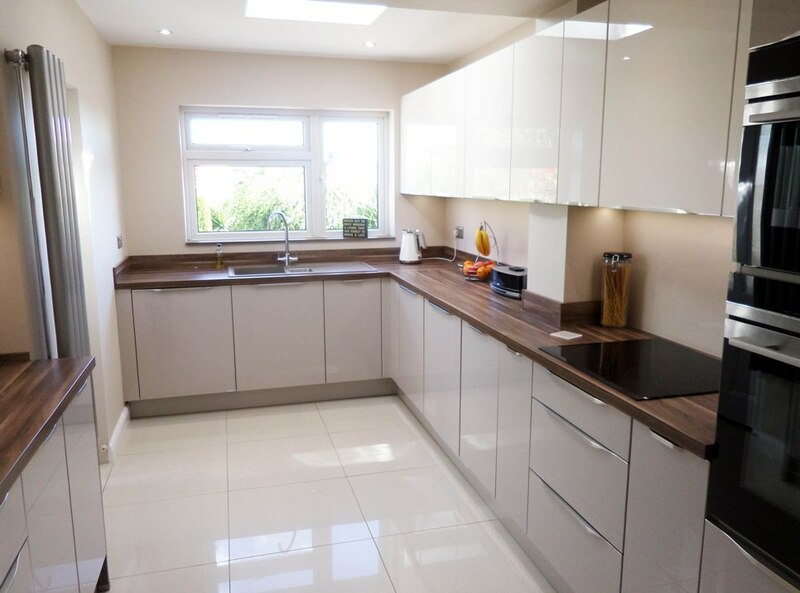 We expect to enjoy this kitchen for a very long time! 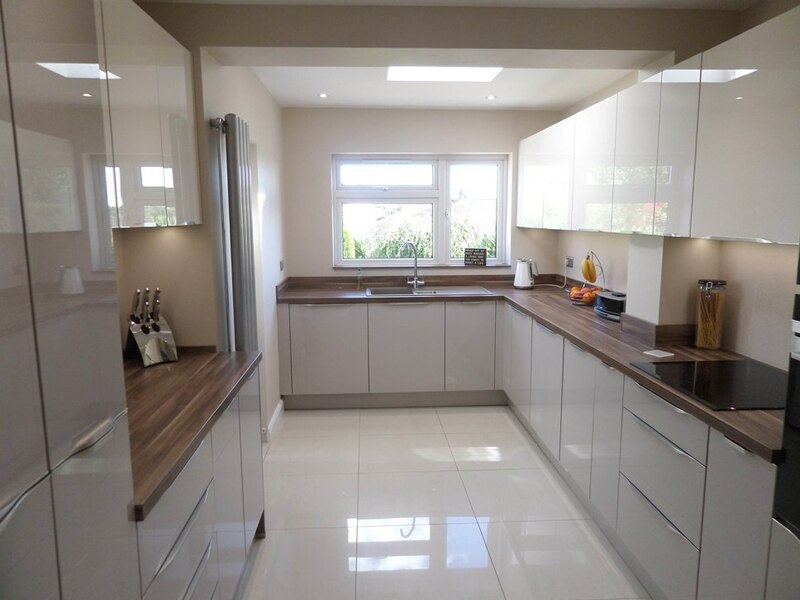 We have recommended them to friends who are thinking about new kitchens and we really hope they get more business from this. Thank you for all your help Lloyd. 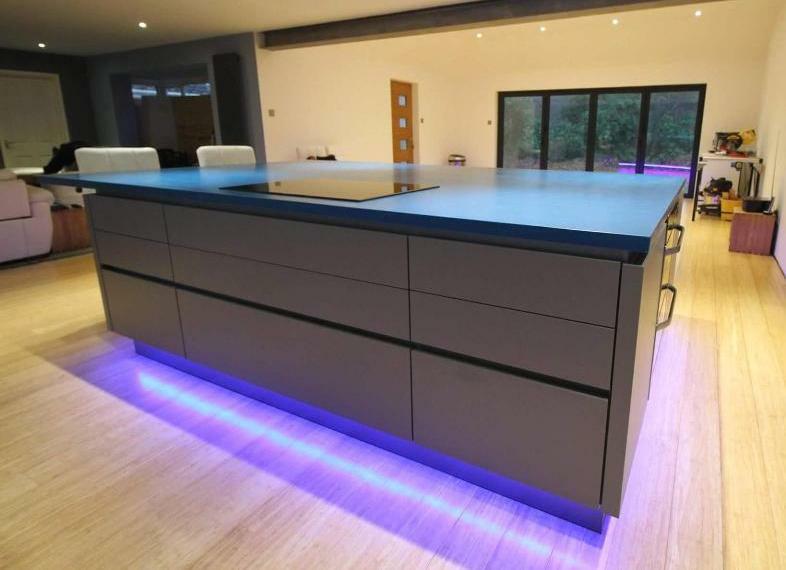 We just ordered our kitchen & found the showroom you recommended a pleasure to deal & much better value than Howdens!. Thanks again for your services, we still love our kitchen. 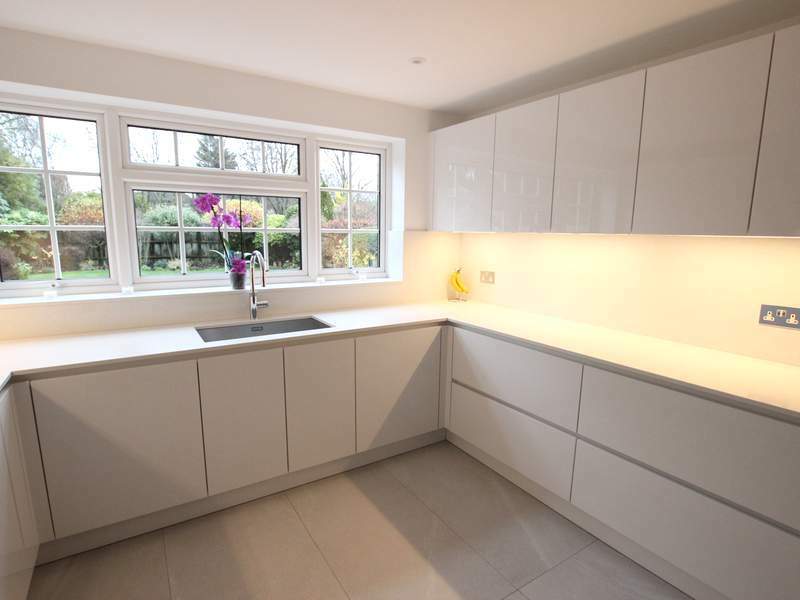 In the end we got a German handleless kitchen for £4,500 less than what Wickes quoted for a bog standard kitchen! 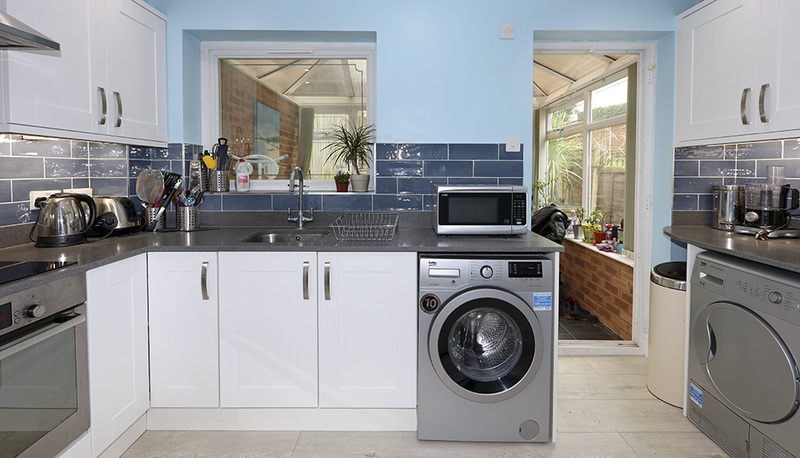 Plus, our kitchen included all Neff appliances compared to the lower quality Electrolux appliances Wickes quoted for, and all other quotes we received were for a similar amount or more, even from places like DIY kitchens. 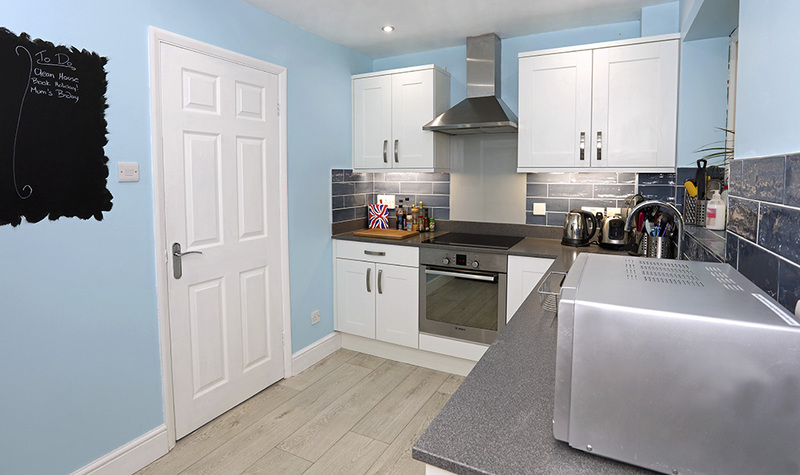 The quality of our current kitchen compared to others we’ve had in the past is far superior. 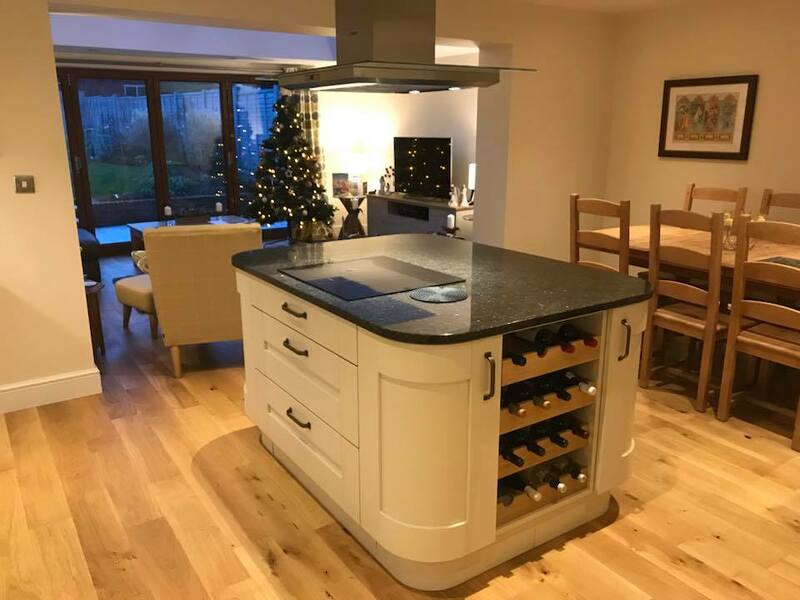 When Lloyd told me he’d get me a Tom Howley type kitchen for just a bit more than what I would pay for a Howdens kitchen, I was a very sceptical. However, I should have believed him. 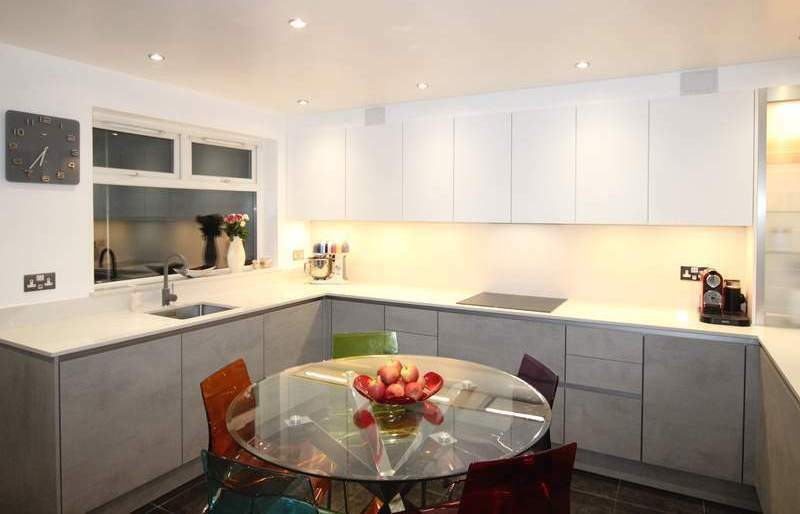 I got the most amazing handmade, bespoke kitchen for only £1,000 more than Howdens! I was amazed! 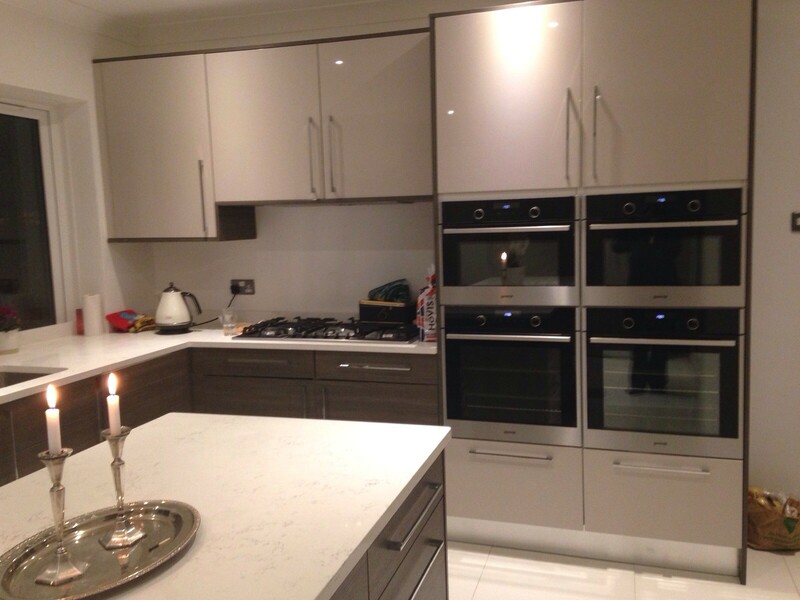 Lloyd recommended a local showroom & told me I could save money for the quality of kitchen I was looking for. He also said I would be in for a treat when I visited the showroom. He was spot on. The customer service of the showroom and constant updates and keeping me in the loop was excellent. I have a busy schedule and they made it stress free for me as I knew they always had everything under control. 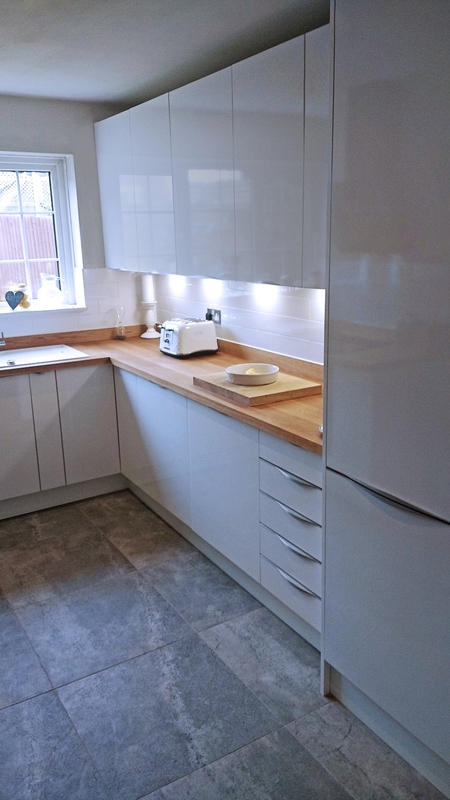 The fitters came on the day specified and worked around me. They were accommodating and friendly. The after sales service of the showroom was excellent. 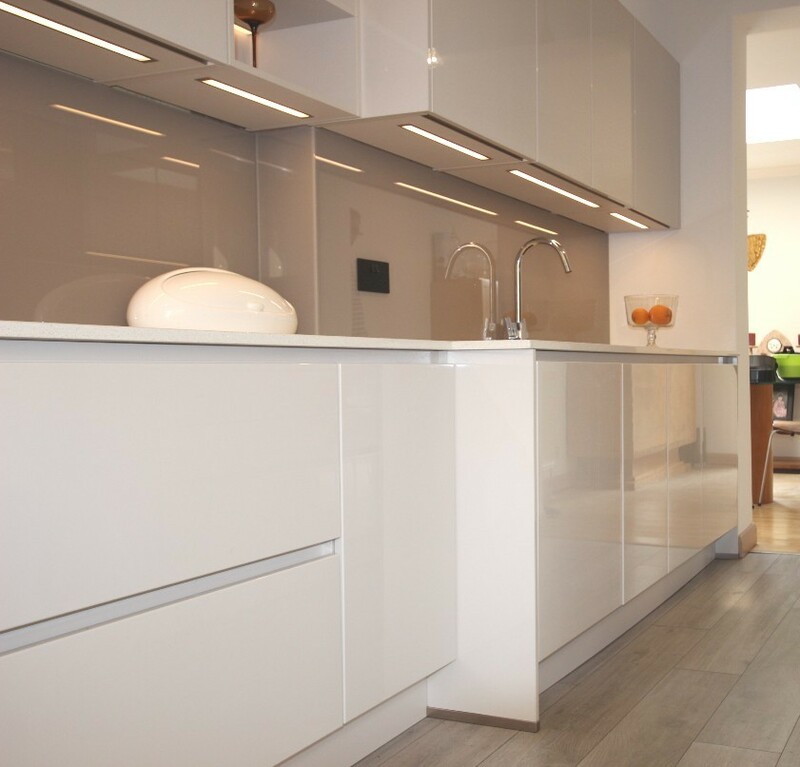 With many companies, once a sale is made they rarely want to answer any calls or deal with any queries, but the showroom continued with their excellent service. 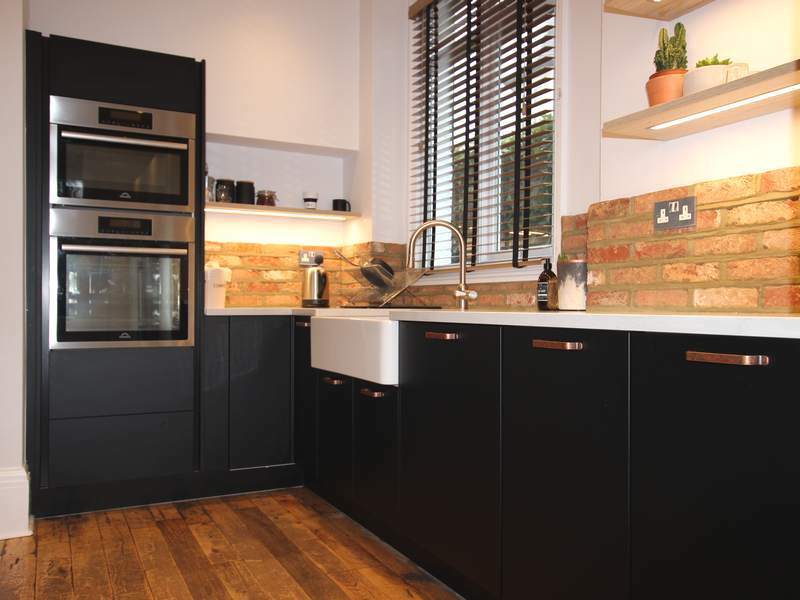 I have and will continue to recommend Lloyd & the showroom to everyone who is interested in refitting their kitchen. On behalf of Pam and myself, may we congratulate all members of the team for the excellent work done for the installation of our kitchen. I can’t praise the showroom you recommend highly enough. From the outset, we were extremely impressed with the courtesy, efficiency and dedication of all involved. We have no hesitation in recommending family & friends to you. To that end, we would welcome any calls to verify the afore mentioned comments. We are very pleased that you put us in touch with Shehryar. Him and his team have done excellent job and we have so many compliments. It looks even better in real life this pic only captures part of it. 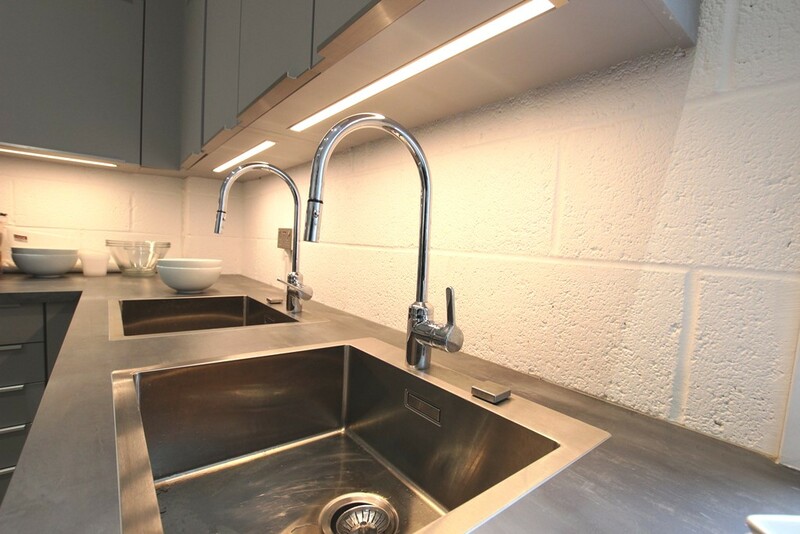 After visiting many kitchen showrooms we decided to go with the shworoom you recommended. 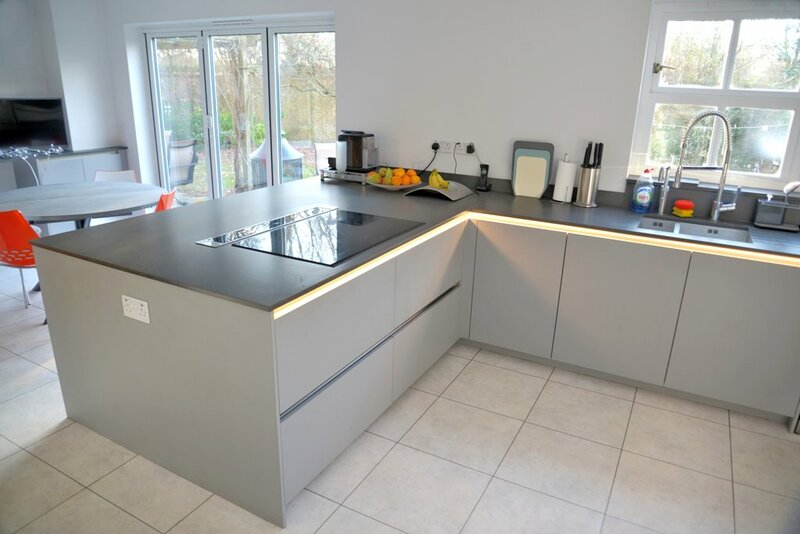 The main deciding factors were that on our initial visit they took time to talk to us, were knowledgeable about their product and service, and were very friendly and approachable. 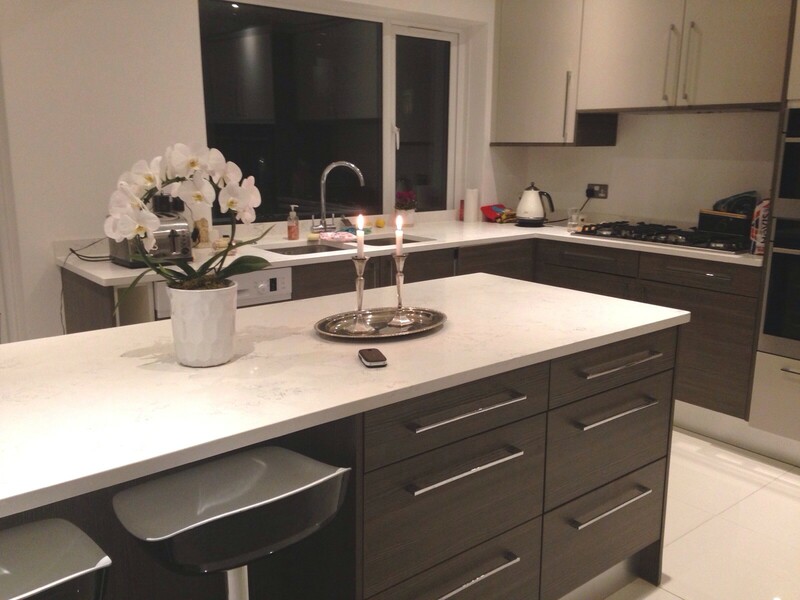 The service they offer is personal and that is the key difference you notice compared with the big kitchen showrooms. 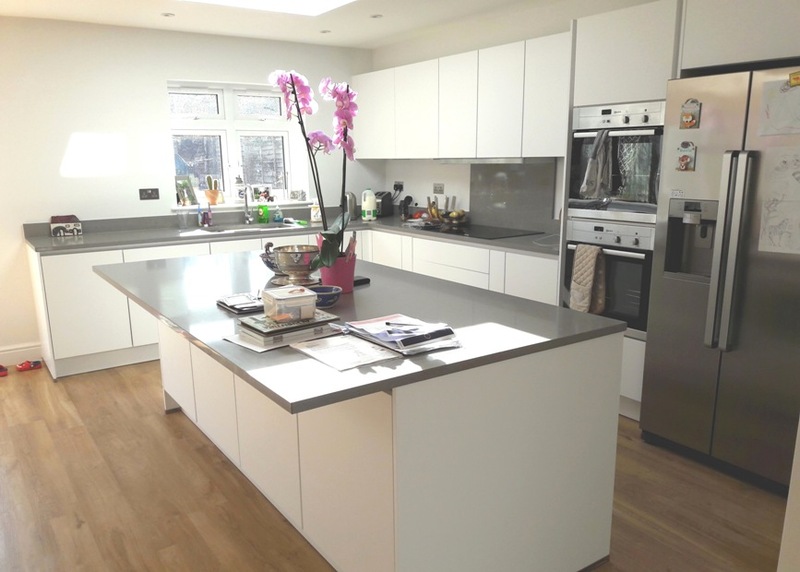 They made a home visit to measure up and then designed our kitchen plan, taking into consideration what we wanted and what was actually possible. Another home visit was made before installation to double check. Even though we were calling them up regularly with questions or changes, they were always accommodating and helpful. We ordered our appliances through them too. Mohammed was extremely knowledgeable and offered valuable advice. He also informed us about the best deals. I came across Kitchenfindr on Facebook by accident when searching for my kitchen. 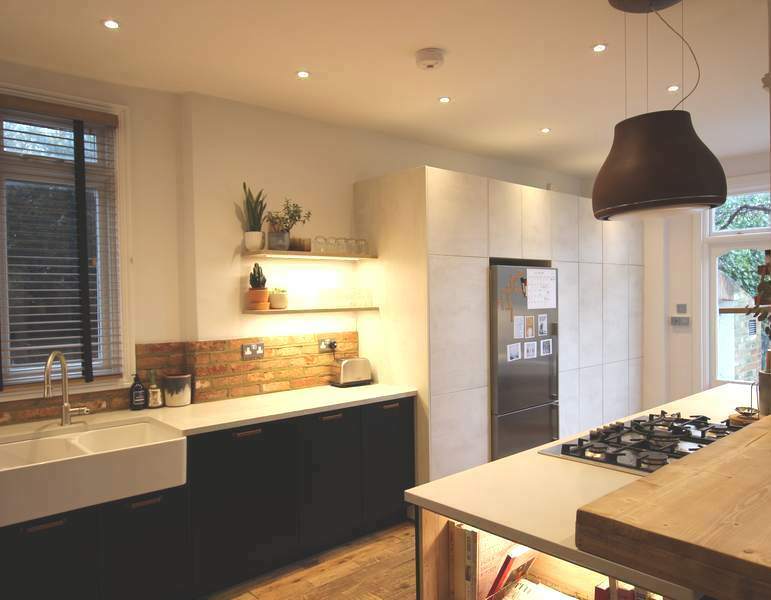 I was a little overwhelmed by the variety of kitchen designs and shops around, so when I spoke to Lloyd it made everything a lot easier! He understood what I was after and pointed me in the direction of two very different kitchen shops. 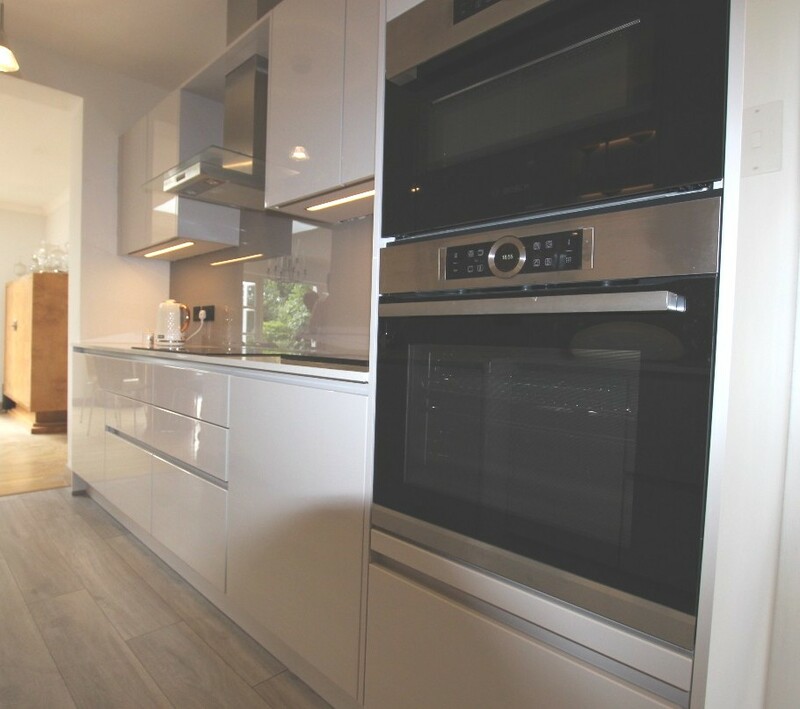 We went with one of them as they had a fantastic range of kitchens and brilliant customer service. All in all, it’s been a wonderful experience using kitchenfindr, I really recommend them! 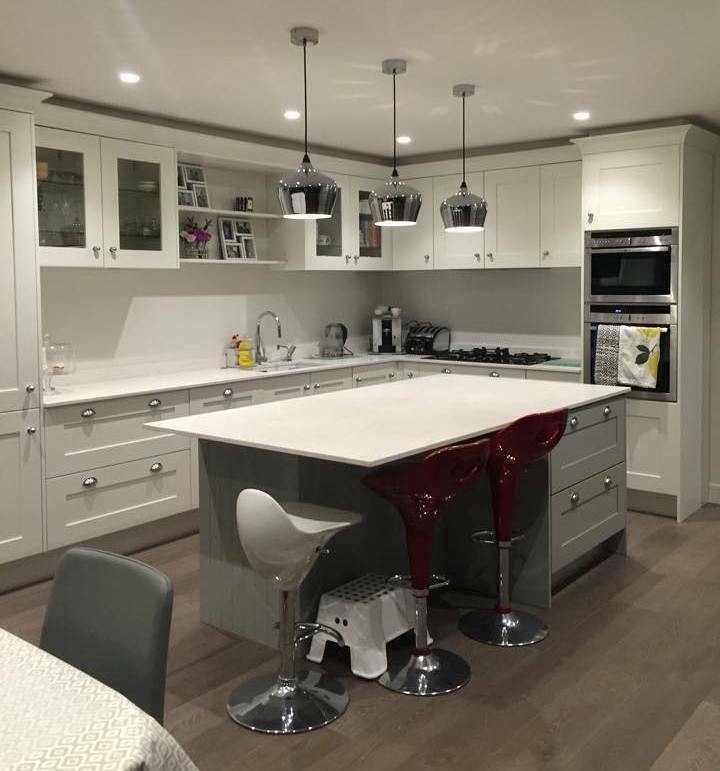 The showroom worked hard to help me create my multi-textural kitchen. 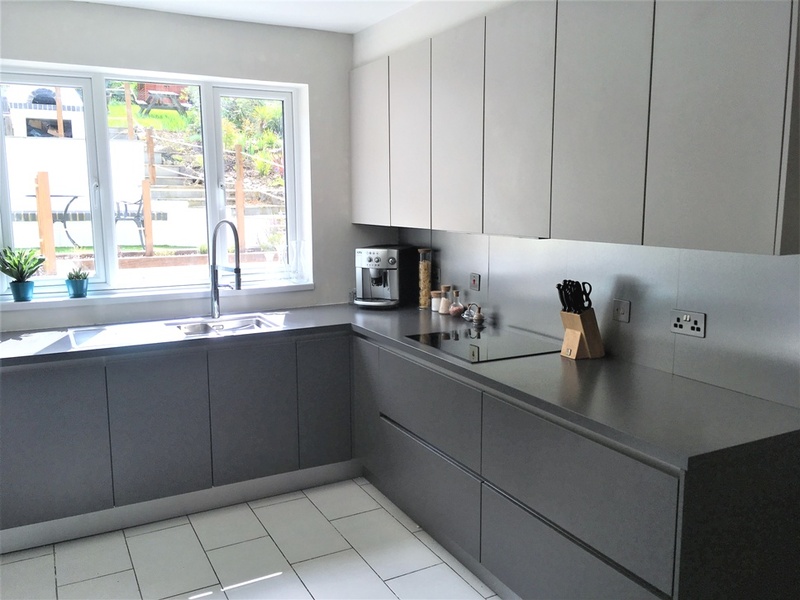 The units they supplied come in avast array of finishes and they were very happy to mix and match textures and finishes to create my ideal kitchen – which also included different heights of worktop. 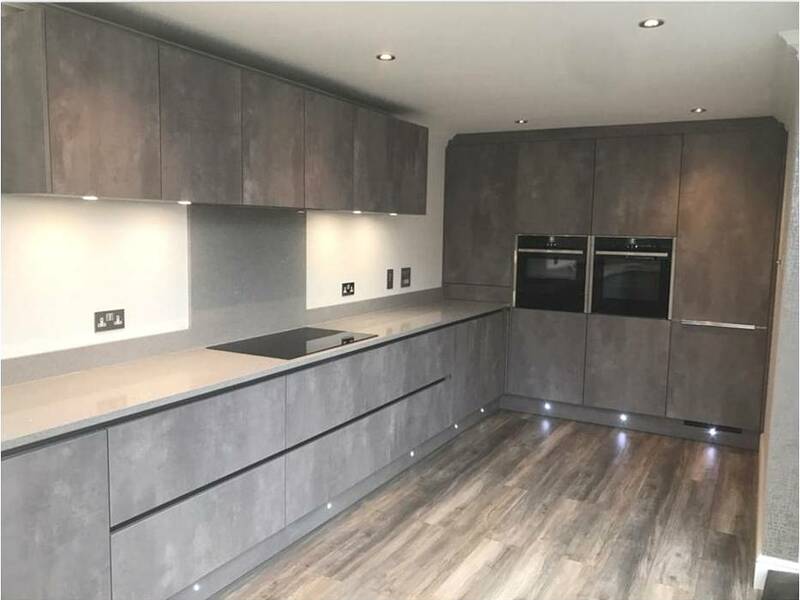 Hi Lloyd, just to let you know we have had our kitchen done by the showroom you suggested and we couldn’t be more pleased. 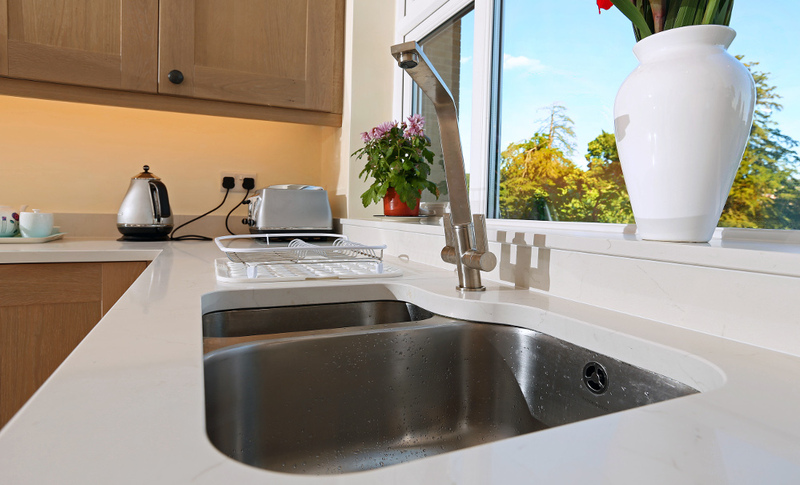 We can’t praise them enough, their professionalism and standard of work are superb. From the design to fitting they are excellent so thank you very much for your help. Thanks for recommending the showroom. 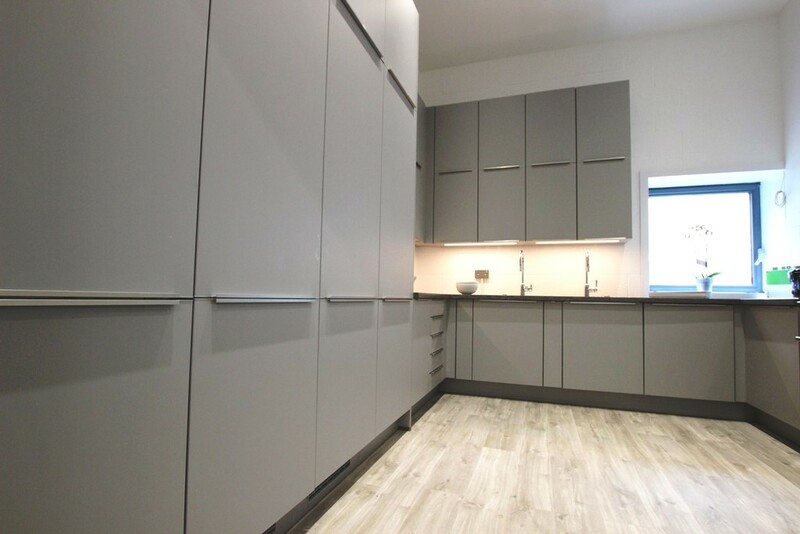 They offered us a high quality German kitchen for less than what our builder quoted us from Benchmarx. 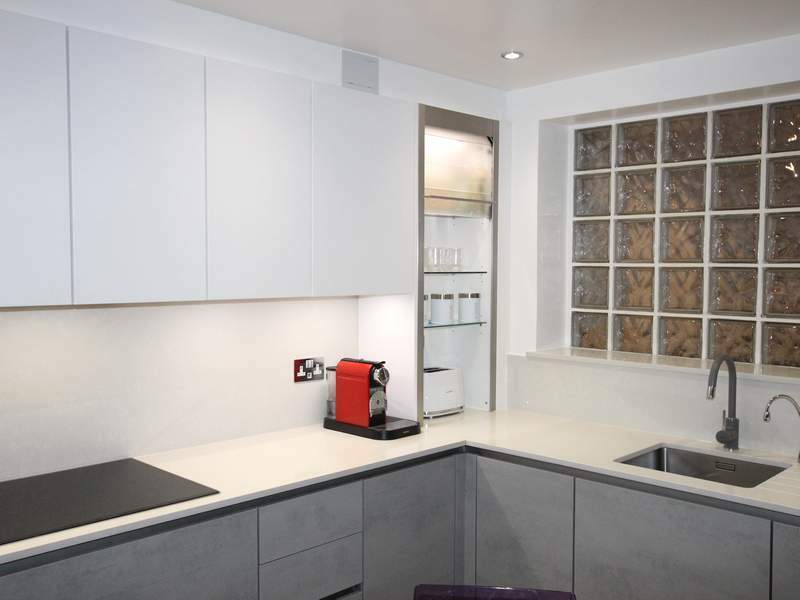 Plus, the showroom spent much more time with us than Benchmarx did helping us get the design right. 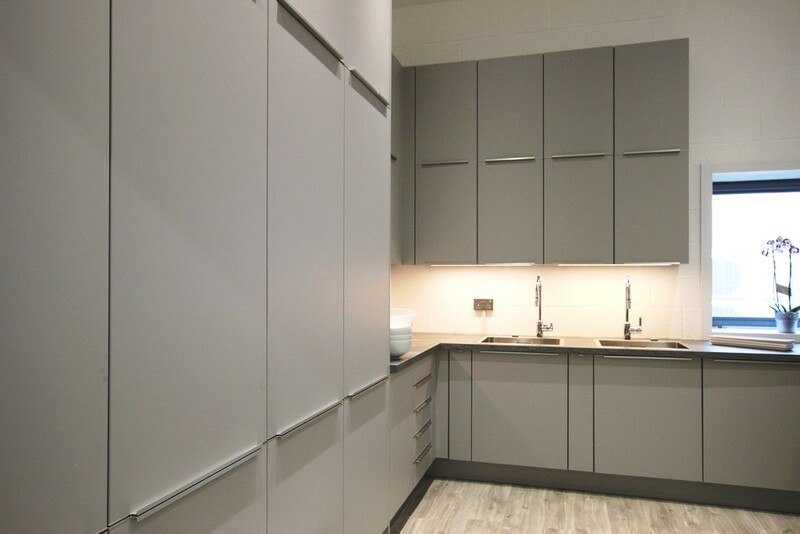 Lloyd recommend a local showroom who supplied and arranged for the installation of our new kitchen. 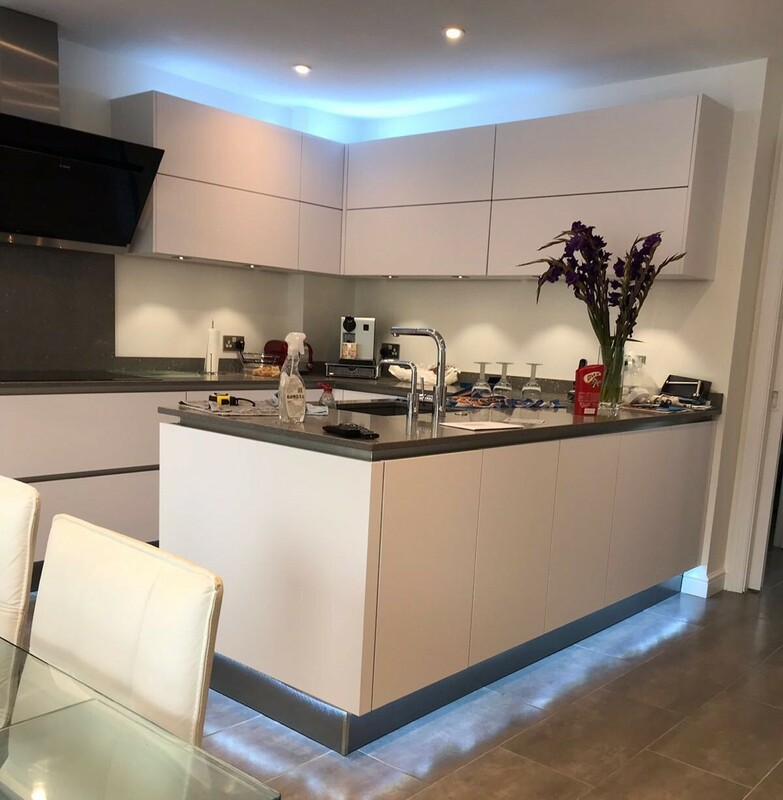 The showroom provided a highly professional first class service to us, answering all the questions that comes along with a new kitchen putting our minds at rest. 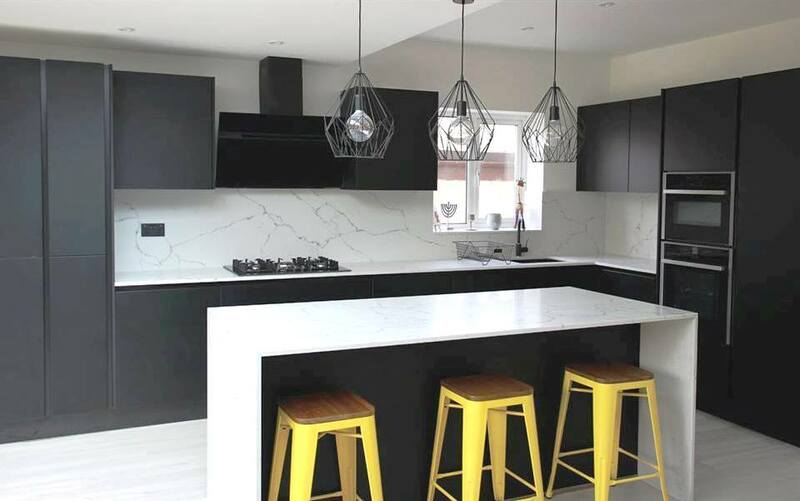 They provided a full service to us from the first visit to their showrooms, on site survey, to pricing etc all our interacting with the staff and the company has been very friendly but professional we would highly recommend this company to our friend and family. 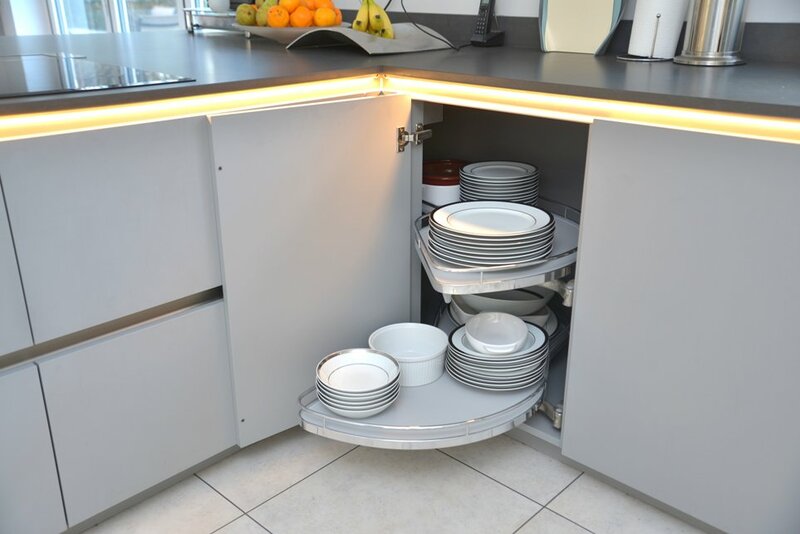 Now to the kitchen units are of very high quality German made units. 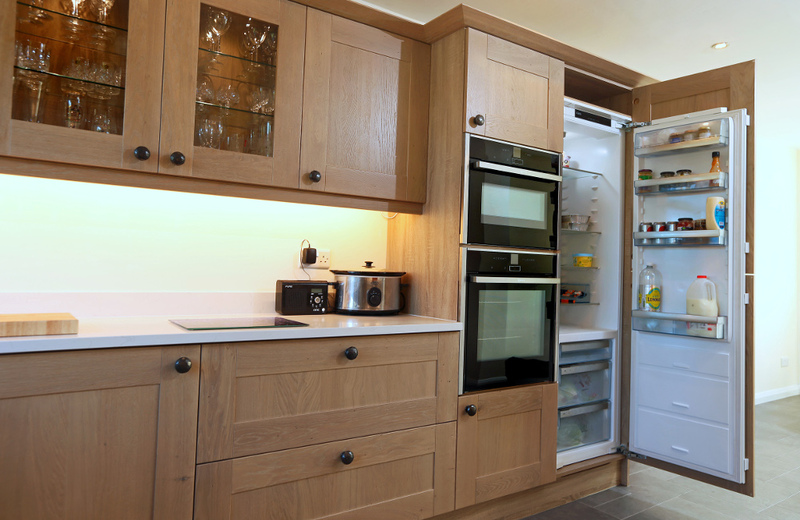 The units etc are very well engineered, put together and at very reasonably priced for such a high quality product. 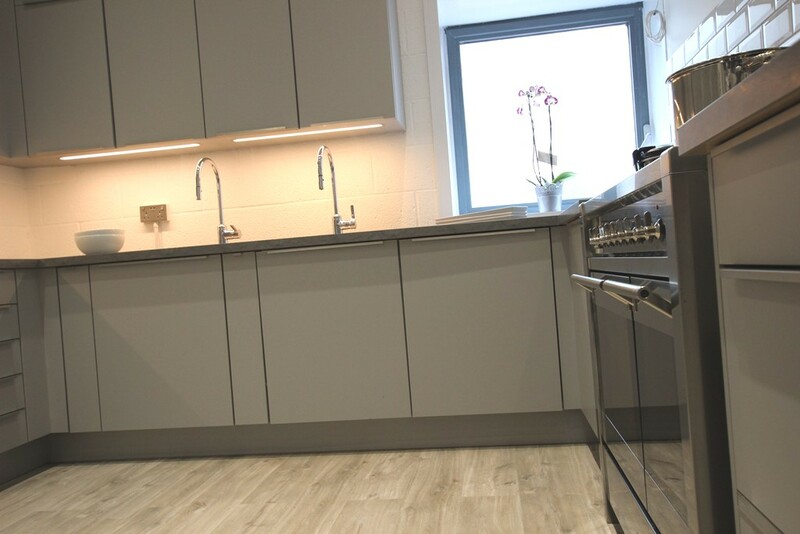 The kitchen installers, electrician, floor layers to the decorators all recommended by the showroom, all have been flexible provided a first class service to us. 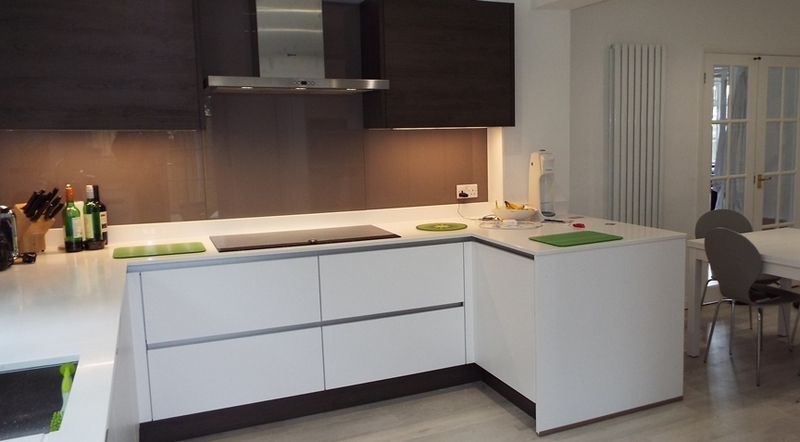 Many thanks for the great kitchen. Thank you for recommending the showroom. This is our kitchen for a lifetime. 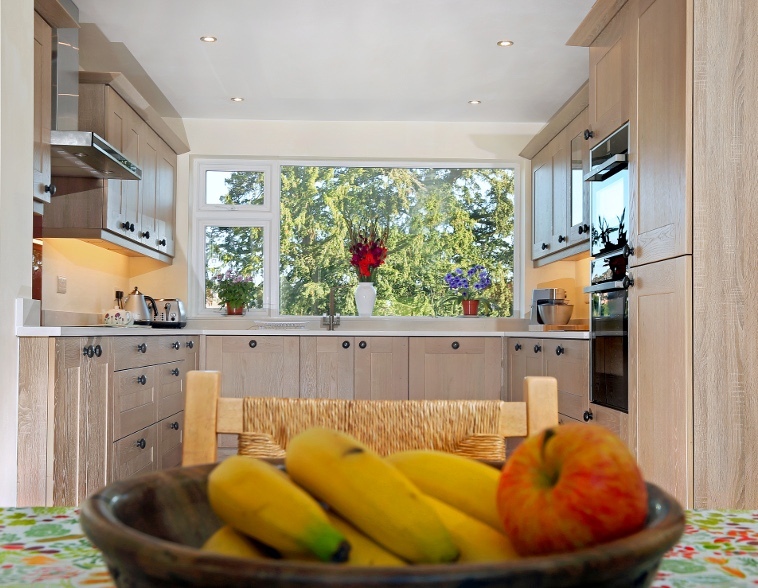 Designer Ian was very helpful, knowledgable and professional throughout each planning stage. 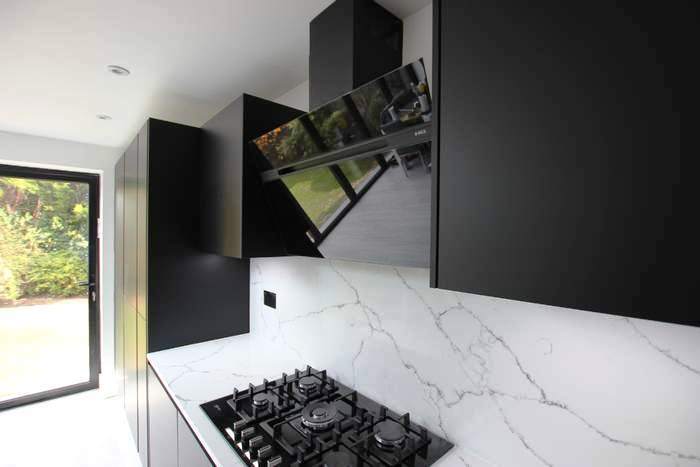 We’d had numerous quotations prior, but it was Ian from the showroom Lloyd recommended who gave us the confidence to go ahead with the project. 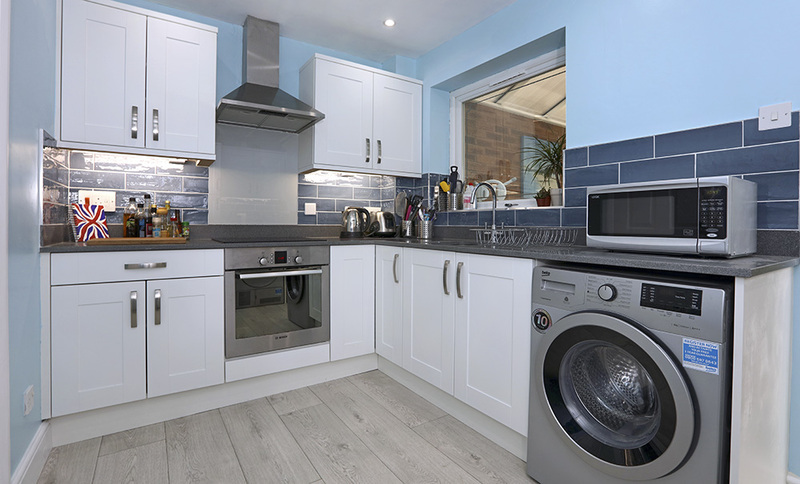 We think our kitchen is fantastic. 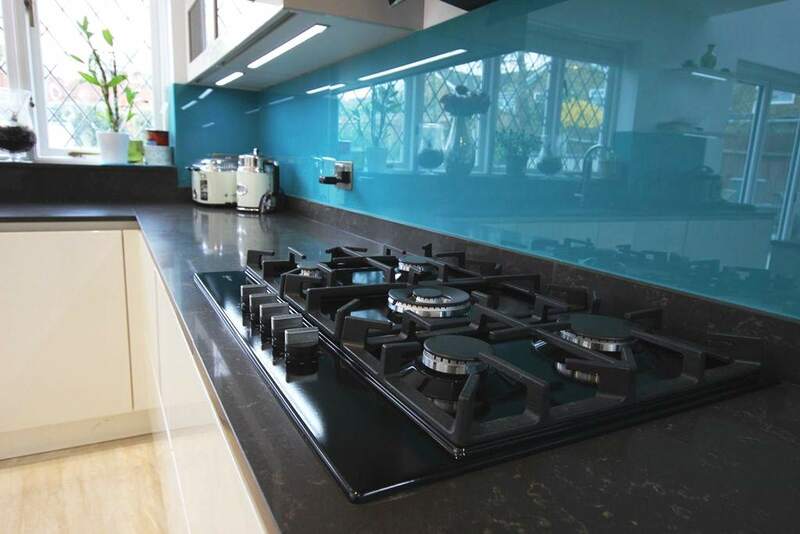 I’ve just used a showroom Lloyd recommended who did the most fantastic job. 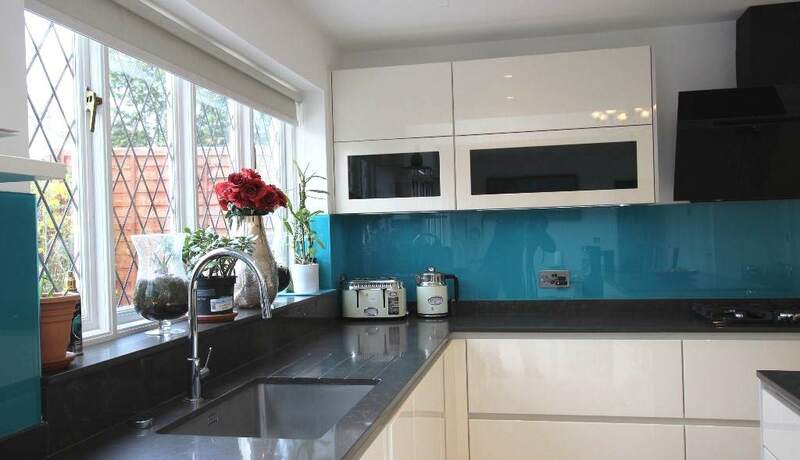 I had a quote for a very expensive Harvey Jones kitchen and they did the same one for a third of the price. Thanks for the excellent recommendation Lloyd & keep up the good work!! After visiting the usual suspects eg. Wickes, Homebase, Magnet etc, my wife and I were getting very disheartened by the whole process. 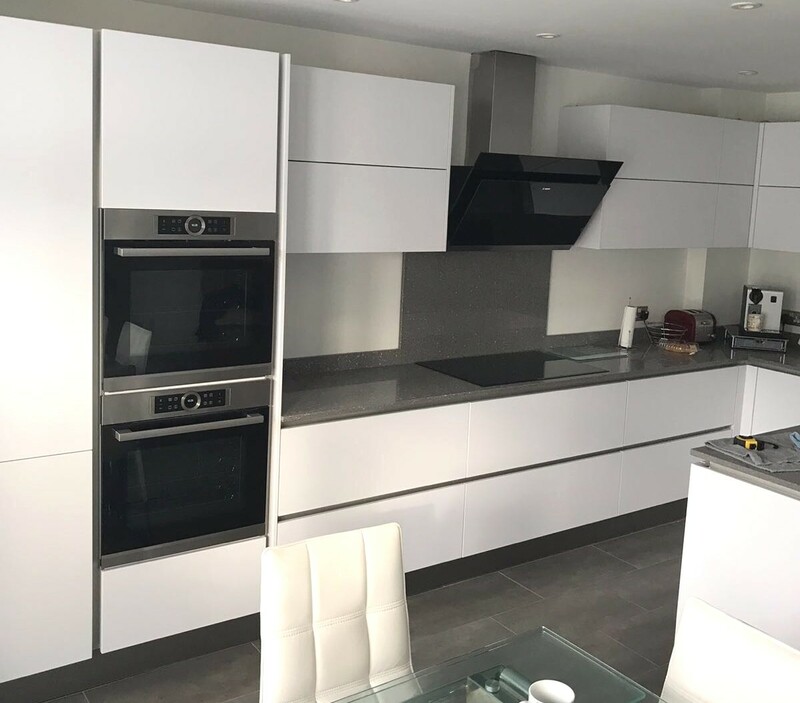 Although we were close to buying from Wren, in the back of our minds we weren’t completely satisfied with the quality of their kitchens. 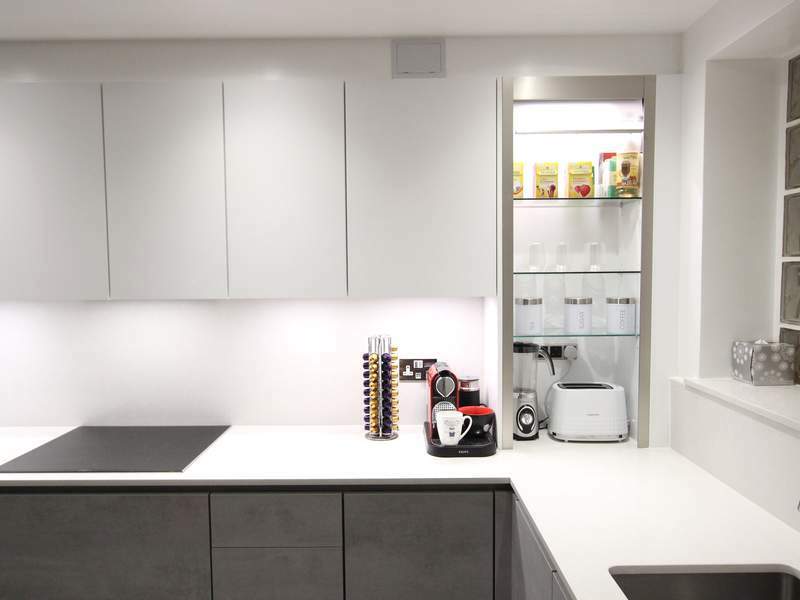 I then came across Lloyd’s website when googling for kitchens and thought I’d give it a shot, albeit a little sceptical. 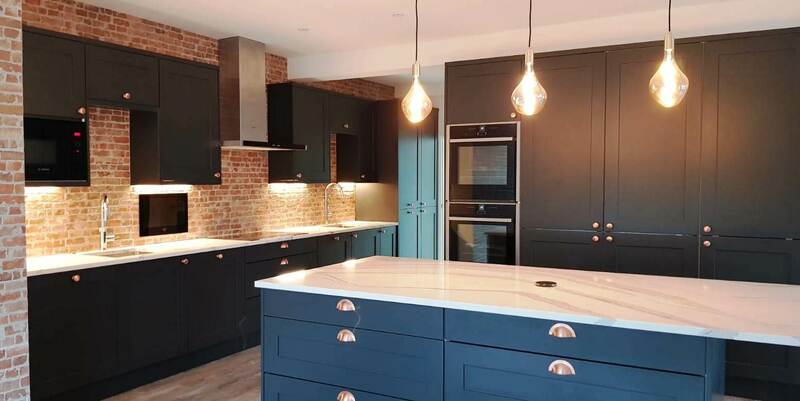 Lloyd put us in touch with two very helpful companies and we opted for one who sold us an amazing German kitchen & they even managed to price match the lower quality Wren Kitchen!. 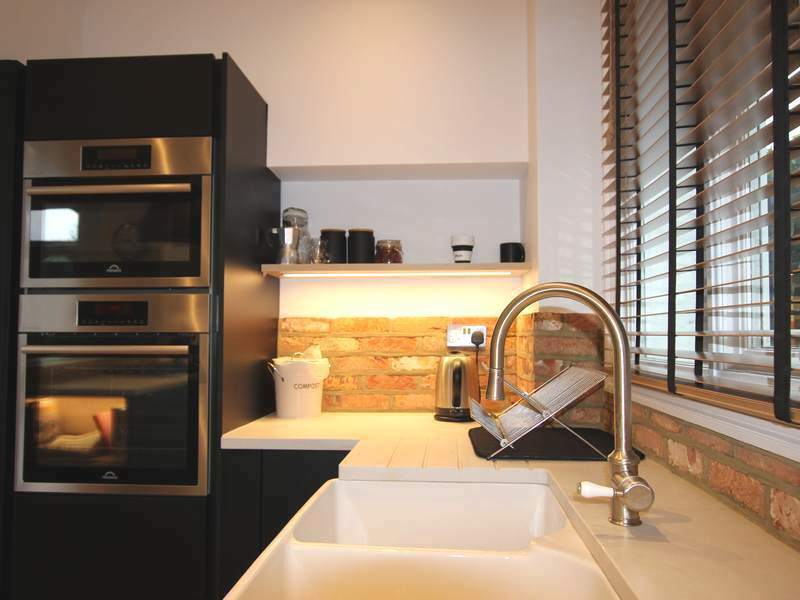 In fact, when you took the cost of fitting into account, the German kitchen worked out £2,000 less than Wren!. The company were amazing and I would never have come across them without Lloyd’s help. Highly recommended. Eranda, Mukesh and their team were great from start to finish. 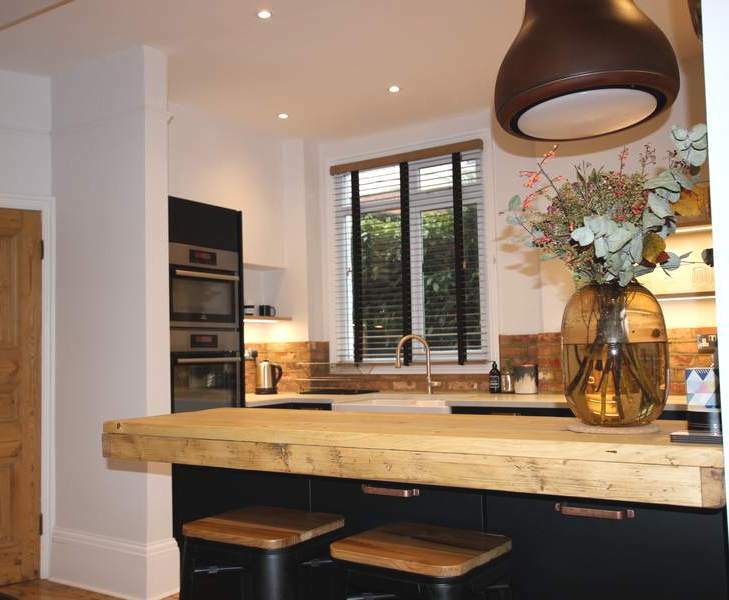 They were always on hand to answer my many questions and the finished kitchen is beautiful. They are competitively priced and I would certainly recommend them. Thank you very much. What a fantastic service! 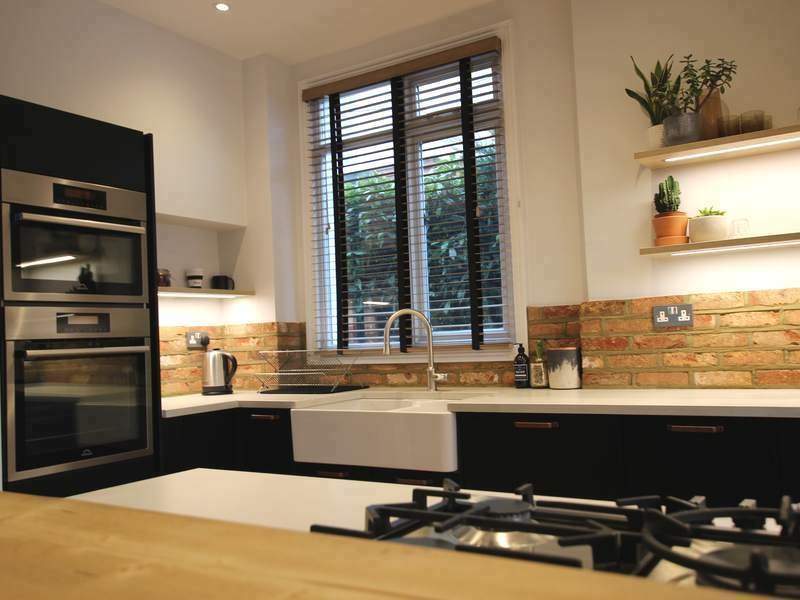 buying a kitchen is such a minefield, so much to try and take in and so many differing opinions along the way. You have been of immeasurable help in sorting the wheat from the chaff! Thank you yet again. Thank you Lloyd. 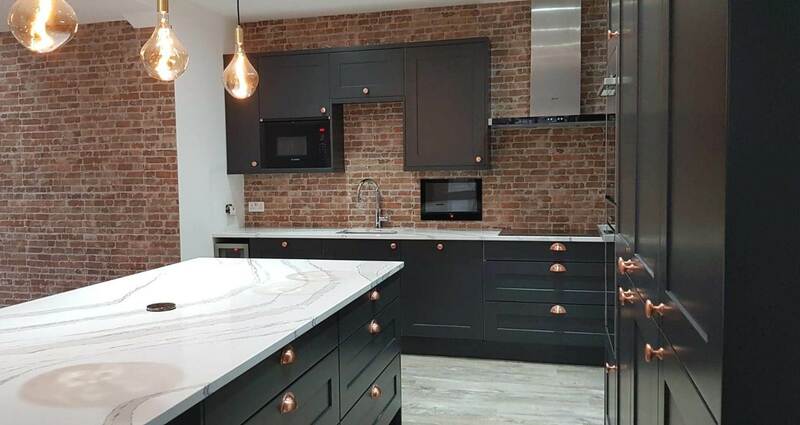 I contacted the showroom you recommended and now have an amazing new kitchen. Thank you for your suggestion. 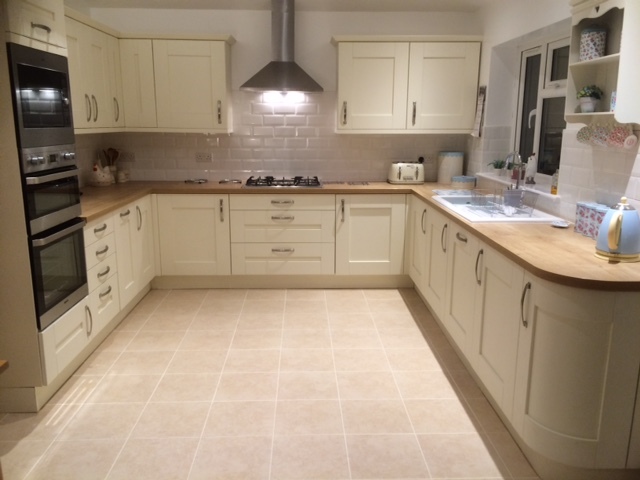 We had a quote from Wickes and it was more expensive and they wouldn’t have project managed, so valuable if things go wrong. 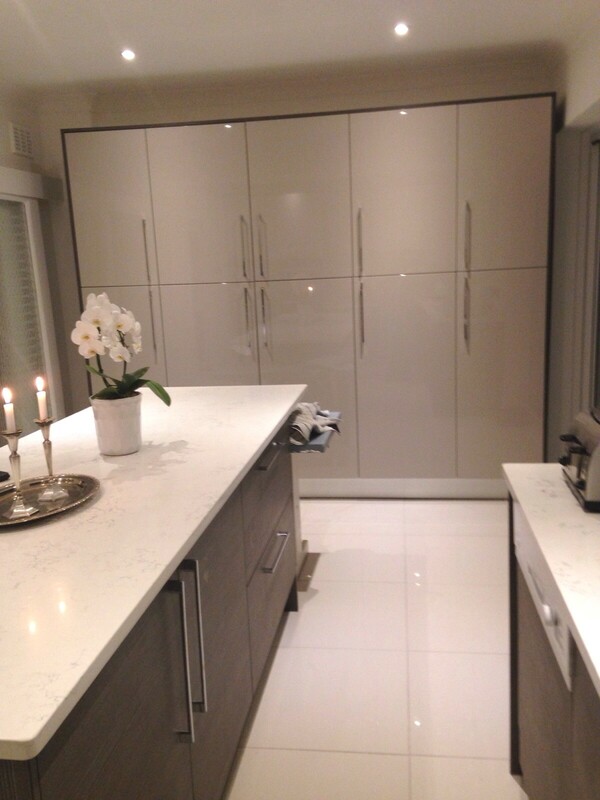 Thank you for recommending the showroom who did an excellent job. Alex is a great designer and the installation by John was first class. 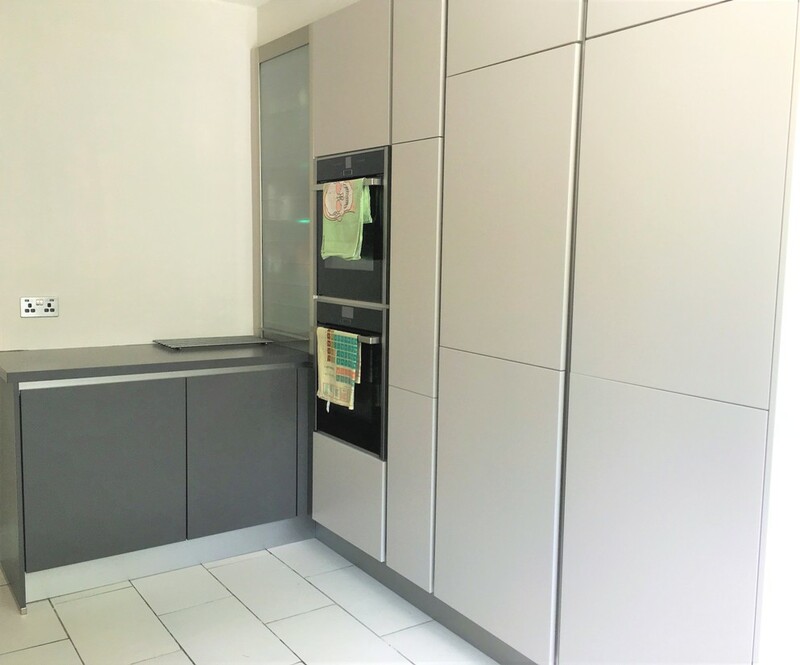 We are delighted with our new German kitchen at a price that was considerably less than similar quotes. We can happily recommend the showroom we used. Nick continues to give exemplary service and has gone beyond our sometimes wayward choices to provide us with a really excellent kitchen. 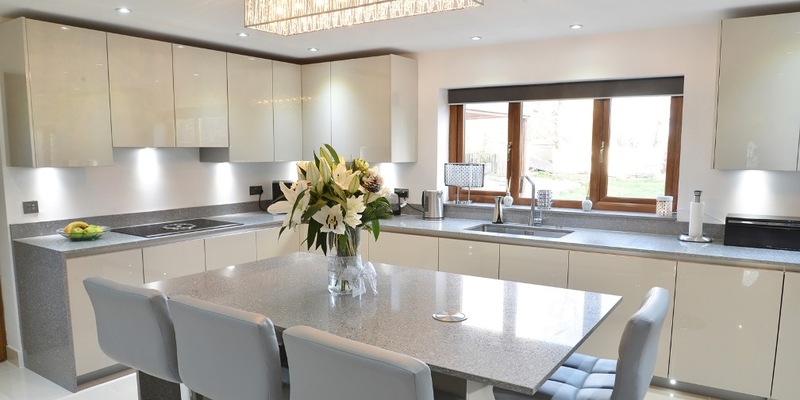 From the very first visit to these kitchen specialists l was confident that these were the people we would use. 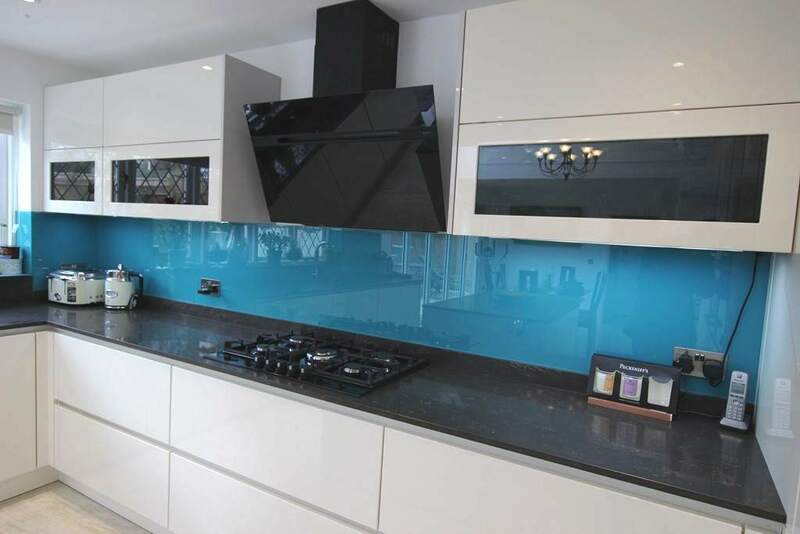 They were very helpful in all aspects of design and price. Now the kitchen is complete we had no problems from start to finish. I would recommend these guys with confidence. The fitter was exceptional and nothing was too much trouble. Thank you all. 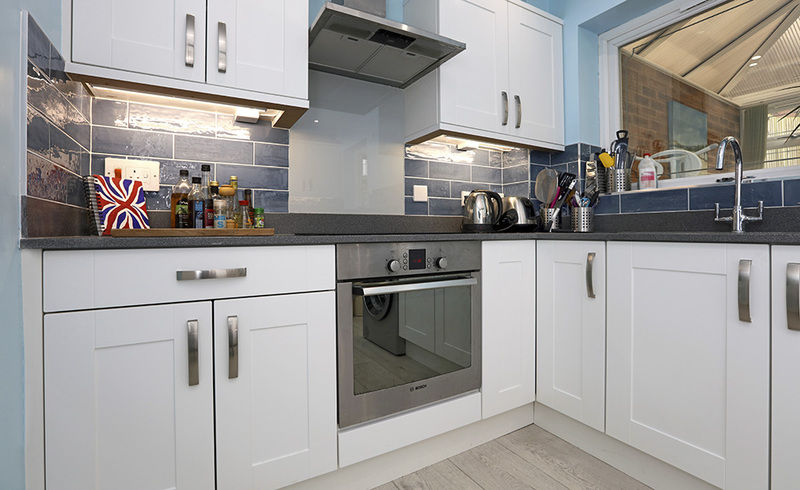 Where do you start when you need a new kitchen? Truth is I didn’t know. I thought with my budget I had to buy from one of the well known stores. 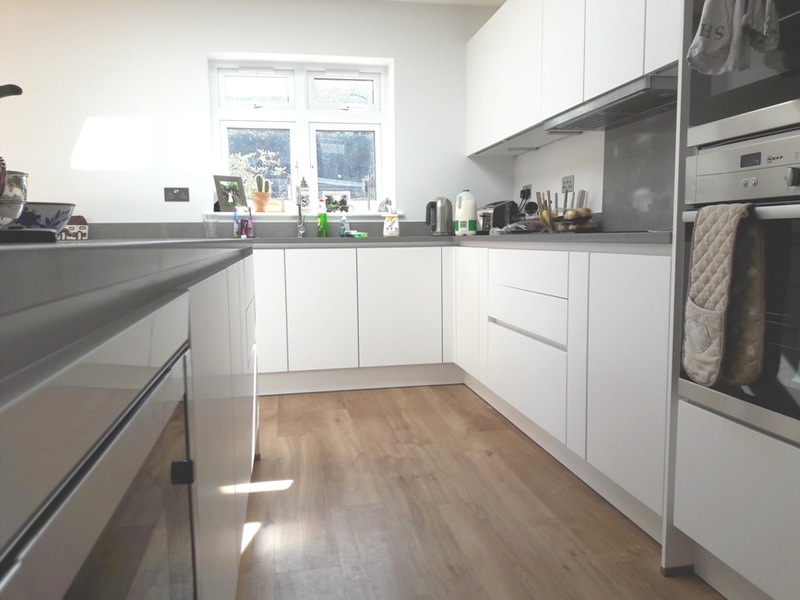 But with the help of google, I found Lloyd at kitchenfinder who told me for slightly more money I could have a quality kitchen. 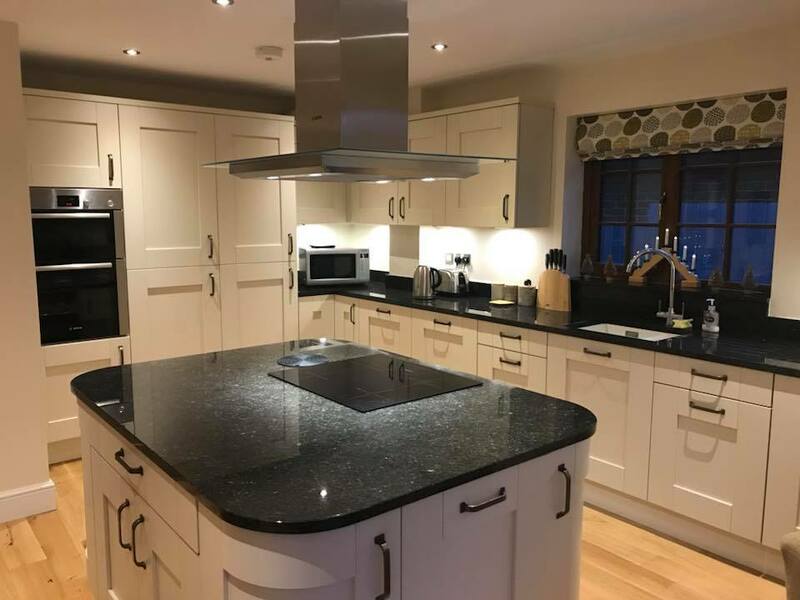 He put me in touch with a local showroom, with their friendly professional approach they took care of all the stress and a new kitchen supplied and Fitted. Thank you! Thank you for recommending them Lloyd. They were a very helpful company & nothing was too much trouble for them. My daughter had been to several companies and was confused about what doors were best. Chris, the owner, gave her loads of helpful info. Kitchen was delivered yesterday and is being fitted from Monday. Thank you for the prompt and efficient service you provided. 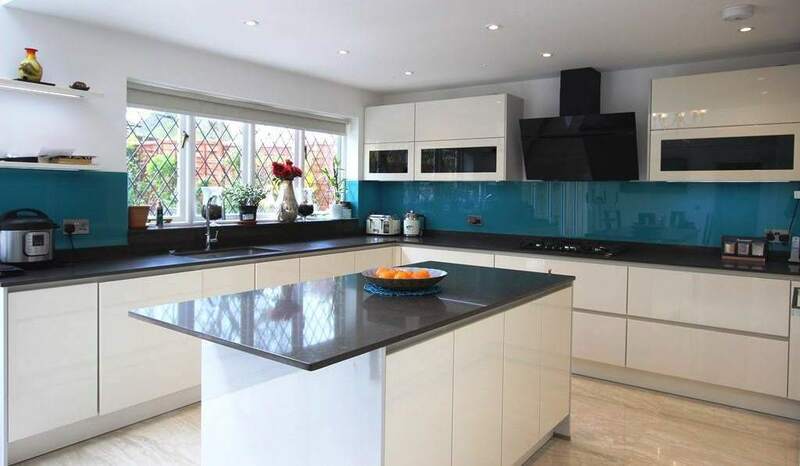 Moving to a new area to live meant we had no recommendations or knowledge to go on for finding a professional and reasonable kitchen fitting company. Through using your service, we had an excellent starting point. We discussed our requirements with both of your recommended companies as well as then getting a couple of our own quotes for comparison. 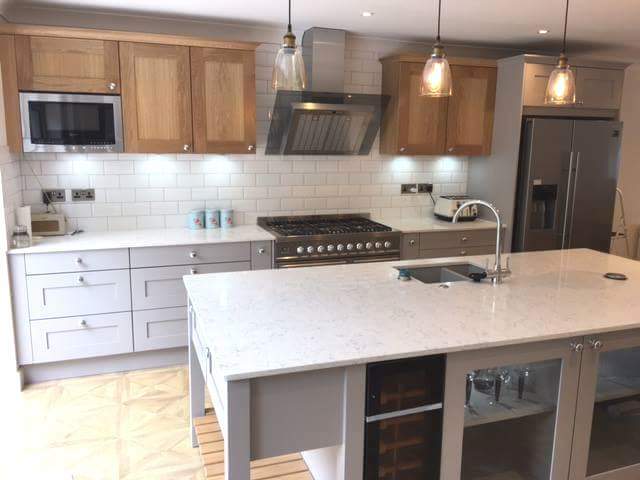 Taking into account professionalism, price and product specification we opted for one of the showrooms you recommended – who have supplied us with a quality kitchen that we are very pleased with. 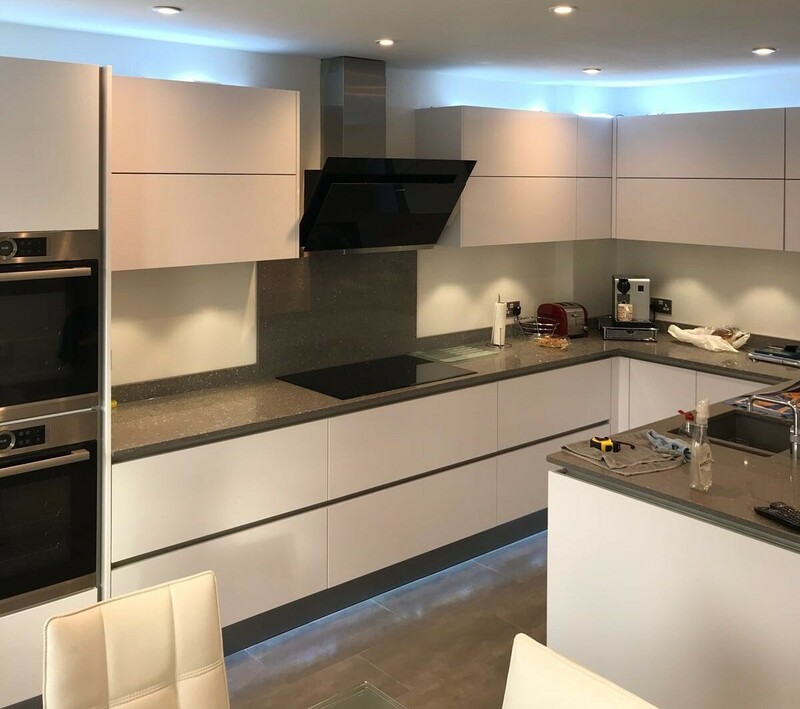 The project was fully managed by them from start to finish, taking away a lot of stress, and the team were experienced and easy to work with. I would definitely recommend them locally. 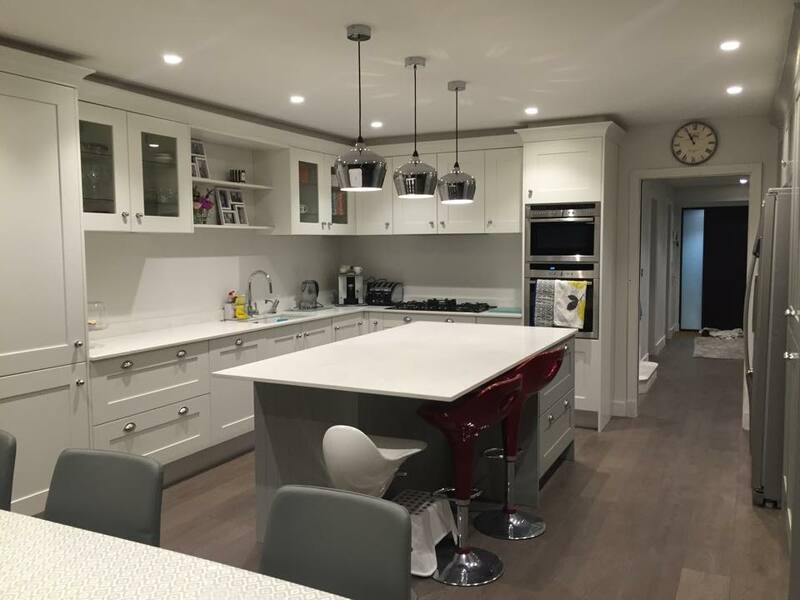 From selecting and ordering the kitchen to having it installed has been a great experience. No pressurised sales tactics from Eranda. Just good straightforward advice and support and very competitively priced. 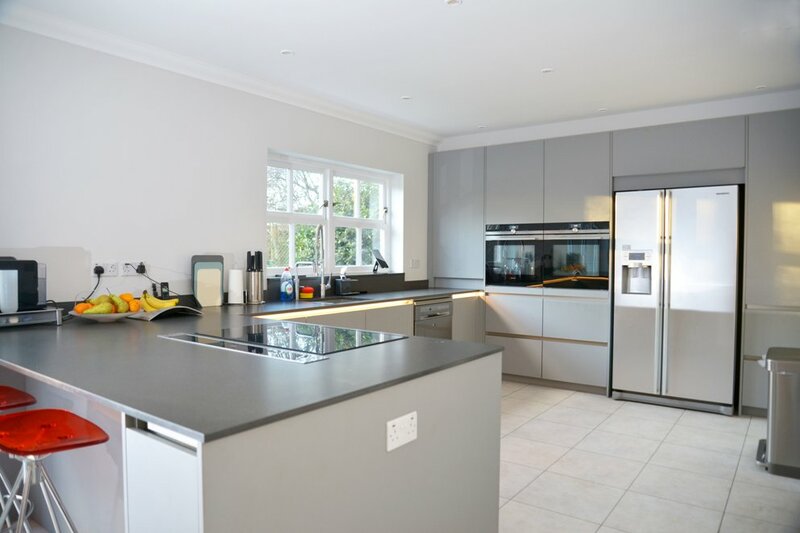 Top quality kitchen which has transformed the house. The fitter Ravi was very polite, efficient and attentive. I would thoroughly recommended Eranda. 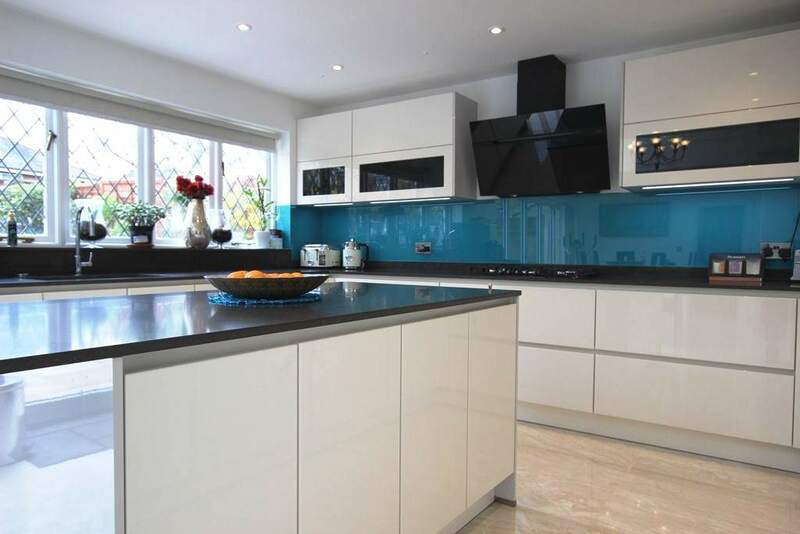 Why buy a kitchen from a chain store when you can have a high quality German product? Lloyd, we can’t thank you enough for recommending the showroom you did. They were fab all round. 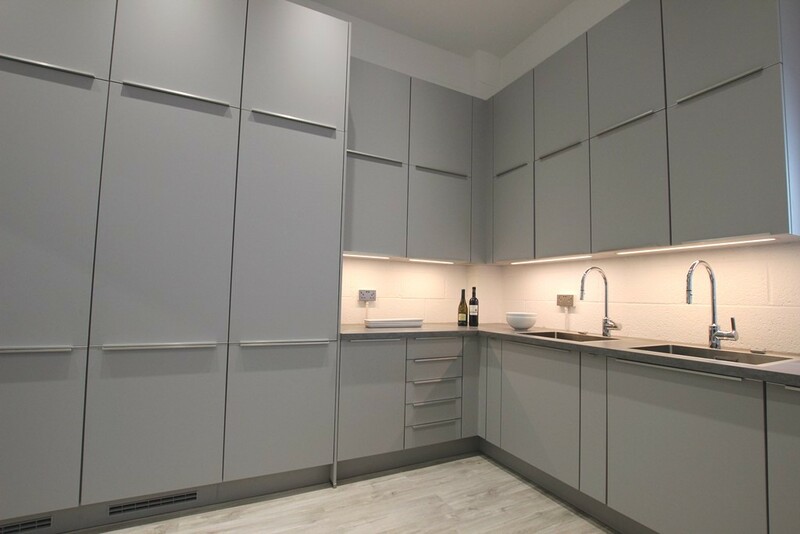 We decided on using them because we had confidence in the services they would provide, and struck up a good working relationship with their designer from the off. We were impressed with his knowledge, experience and laid back sales approach. The quality of the proposed design rendered images he provided were also the best we’d seen. 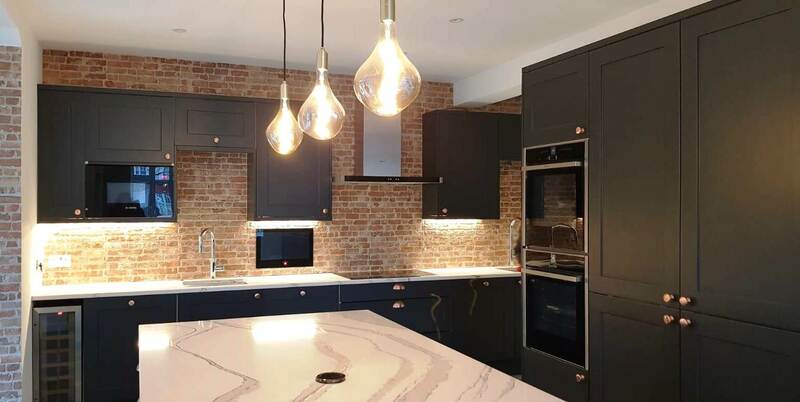 The showroom were very responsive and generous with their time, and whilst in the process of choosing and finalising our design, they proved really helpful and responsive to all our queries. Nothing seemed too much trouble (considering we changed things a fair few times!) If they said they would do something, they did it, and in the time frame promised! 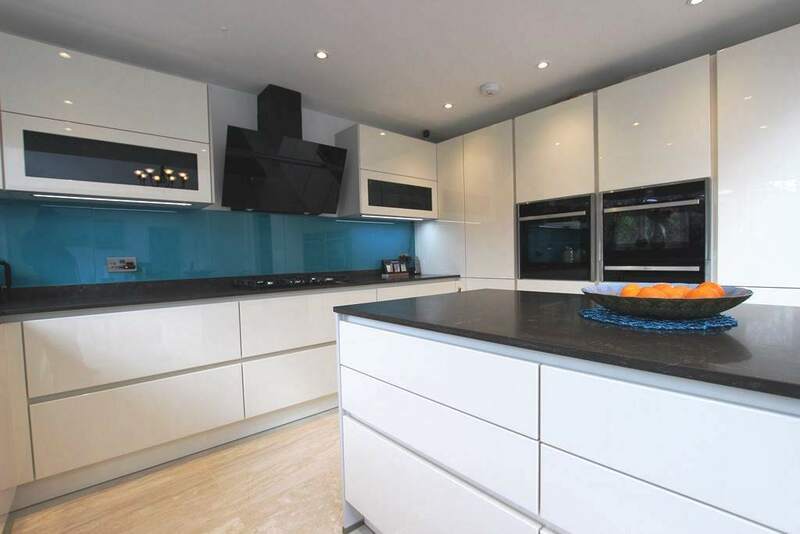 I would highly recommend the showroom to anyone looking to buy a new kitchen. They provide an excellent product, which is backed up by knowledgeable, reliable people, all at a very competitive price. 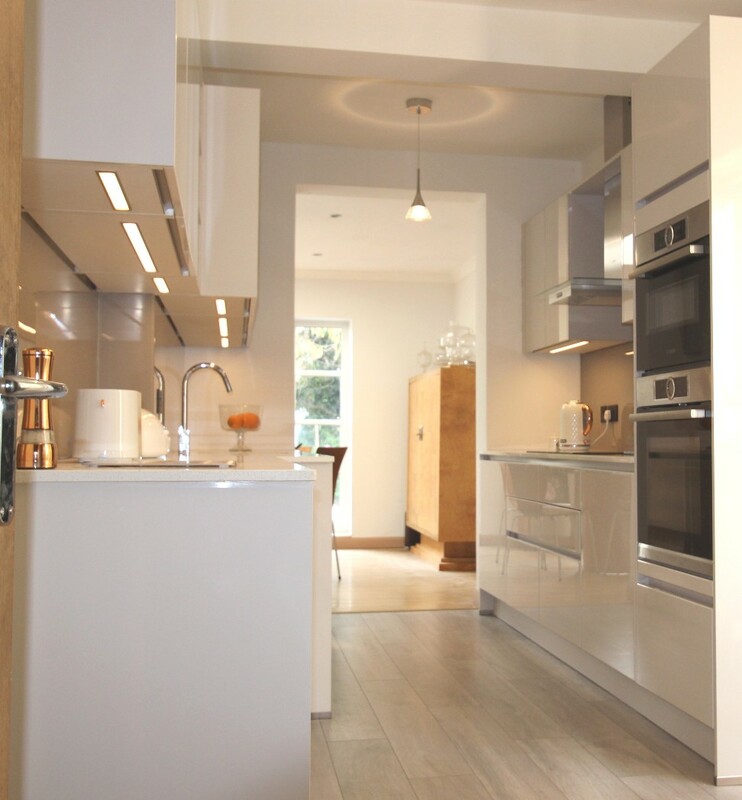 The choice of styles and finishes are plentiful and can cater for most budgets. 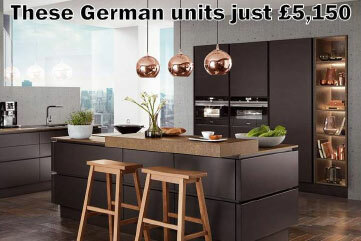 They can also provide quality German appliances below any price you will find on the net! It was a no brainer for us! Very happy! 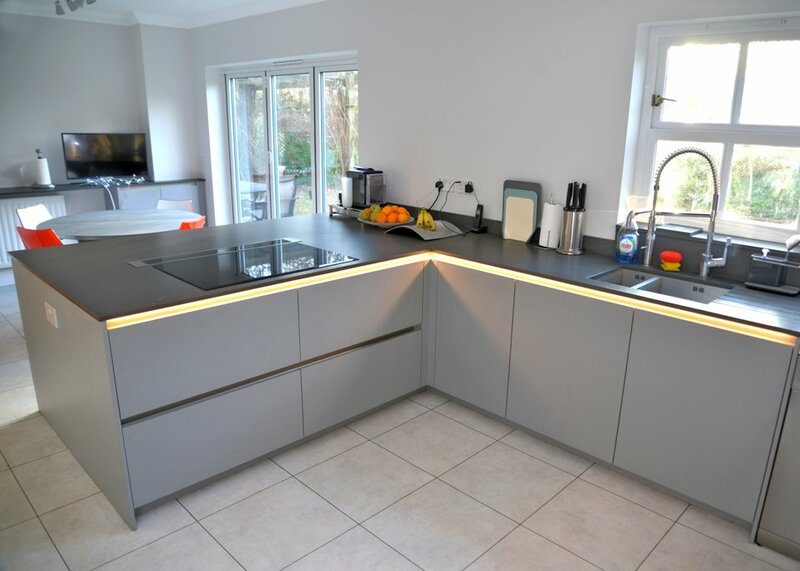 We love our new German kitchen, the quality is really good. It is quite honestly head and shoulders better than our previous one, and based on experience so far, believe it will last us for many years to come. 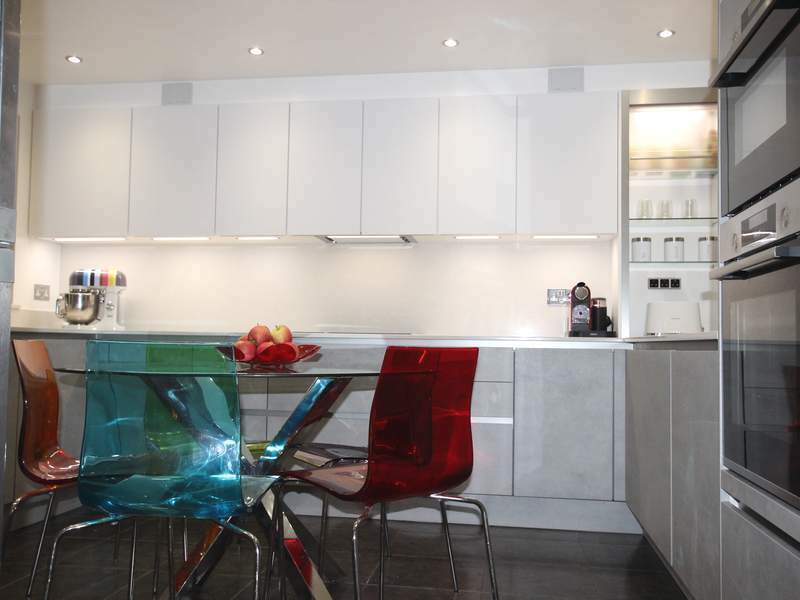 The service from the showroom recommended has been excellent right through from the design process to the installation. With special thanks to Ian and Craig for all their help. I would definitely recommend their services. Thank you very much for passing on the details of the showroom. We got a quote from them and from B&Q. 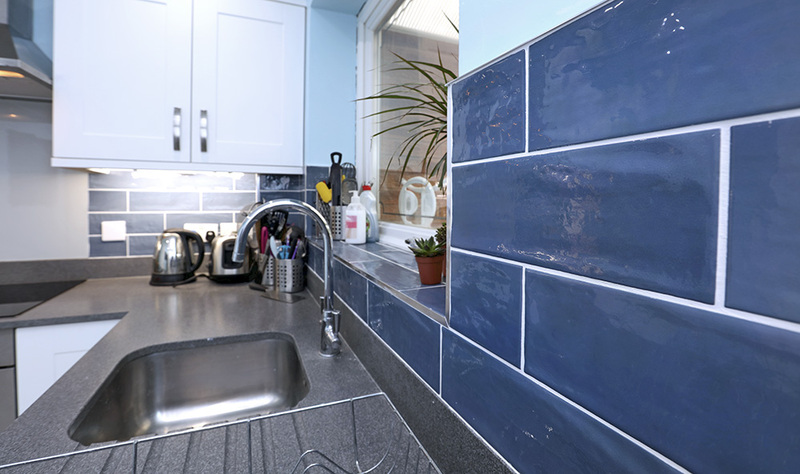 We’ve been very impressed with the service they gave and the value for money compared to B&Q. They visited us at home a number of times to produce a detailed plan and we visited the showroom to make some final decisions. The fitting itself was done very well and any small issues were sorted out quickly along the way. We would happily recommend them to anyone wanting a similar job done. 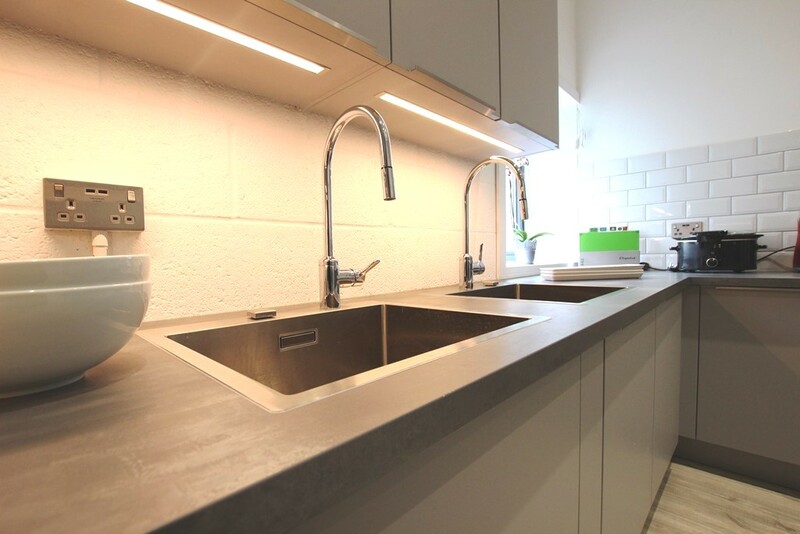 We recently used Lloyd to source our new kitchen & found his service brilliant. The showroom have been perfect for us and I cannot thank you enough for you pointing us in their direction. The design was much better and well thought out, they offered all of the appliances we wanted. 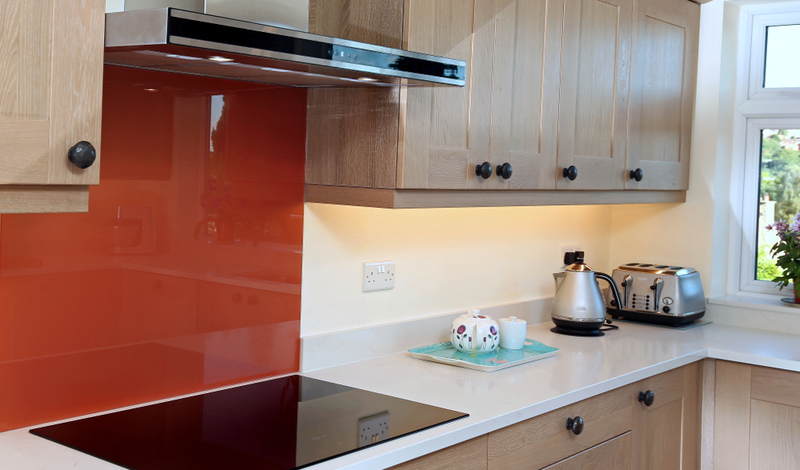 The work tops and glass splash backs all with the KC. Great quality and a great price. 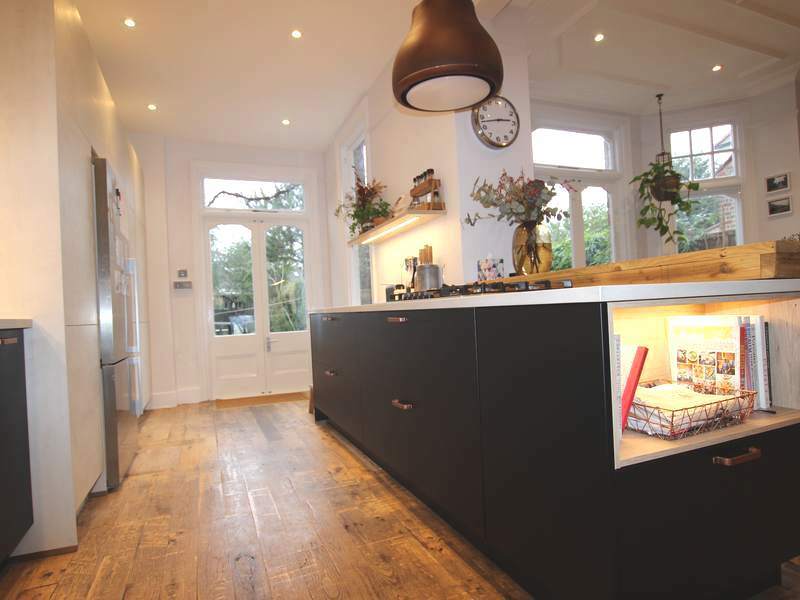 We are absolutely over the moon with the kitchen, so thank you so much for your help in finding a supplier to work with. 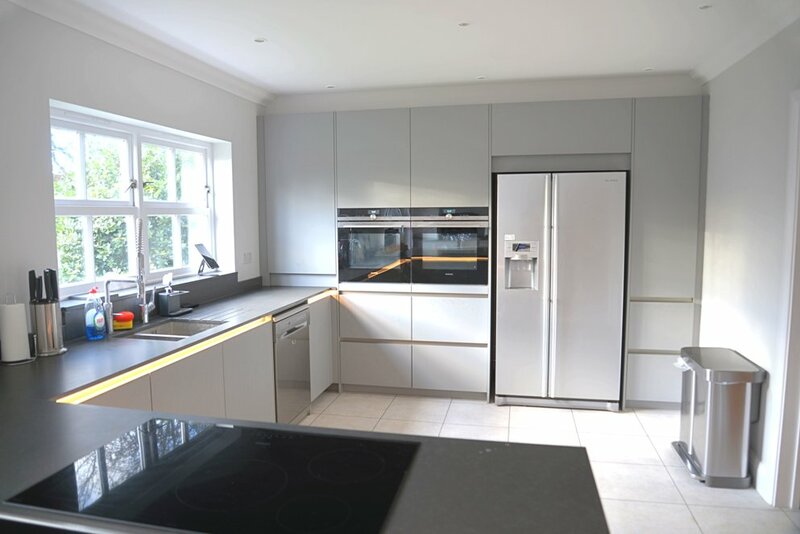 We recently had a German kitchen fitted by a company Lloyd recommended. 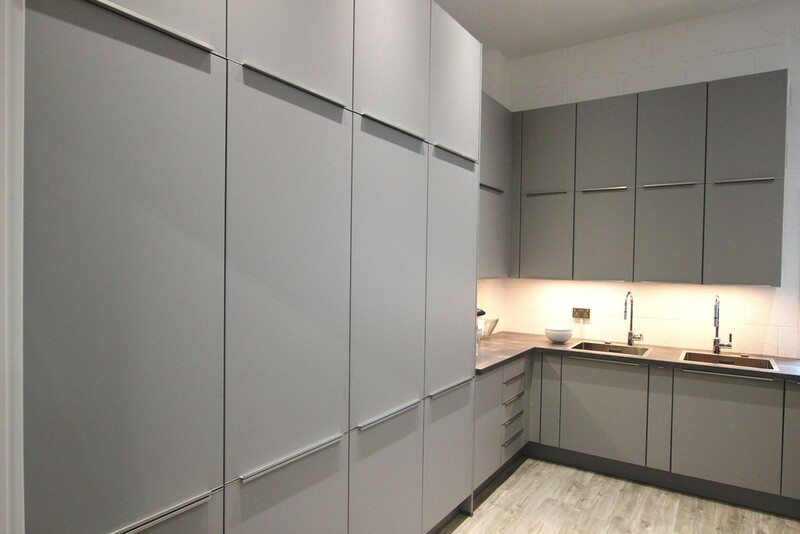 The quality is excellent and the price was considerably less than Magnet and their “sale”, plus the cupboards were delivered in one piece, complete with doors. 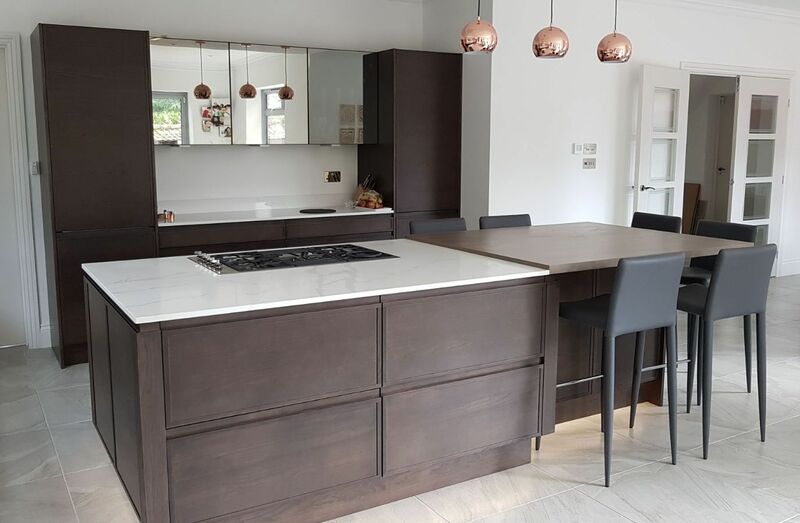 I strongly recommend speaking to Lloyd if you are considering a new kitchen. 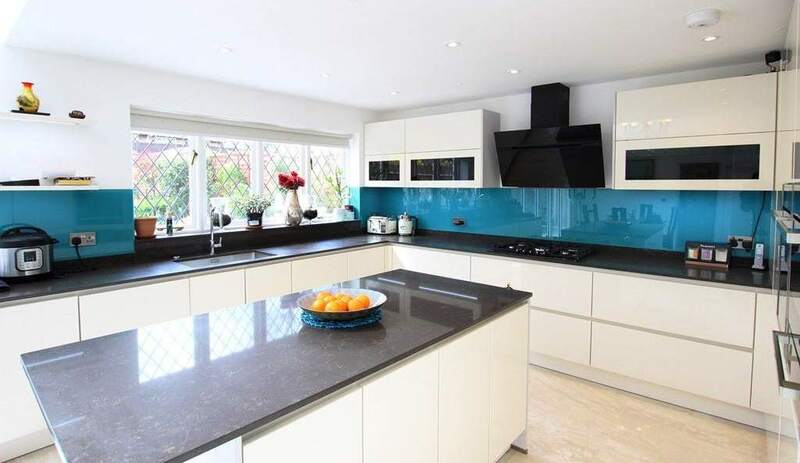 We recently used Lloyd’s service and now have the most fantastic kitchen which was brilliant value for money, I would highly recommend speaking to him! 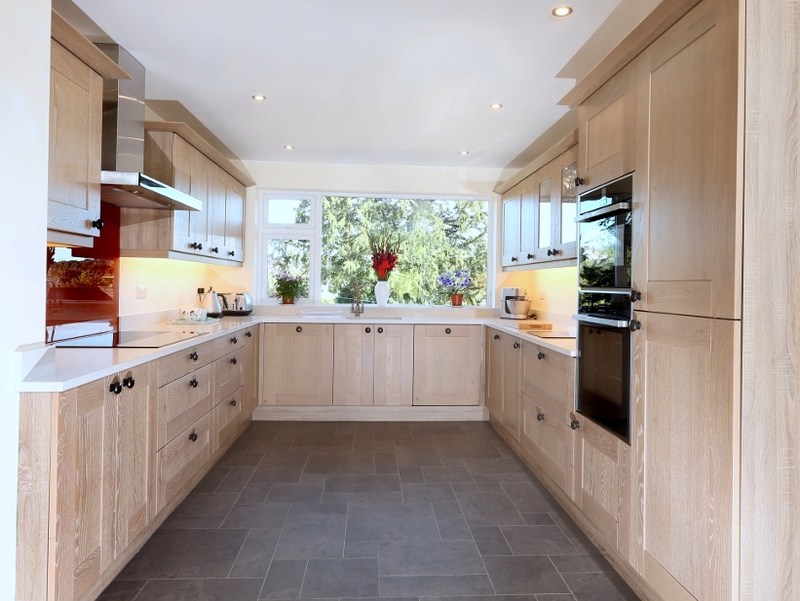 We were advised against Howdens due to the quality of their kitchens. 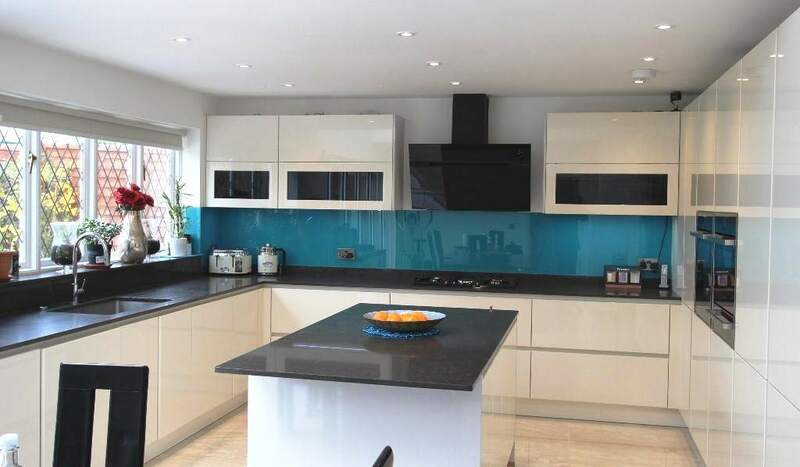 Lloyd recommended a small local showroom where we got a much better quality kitchen for a similar price to Howdens!. 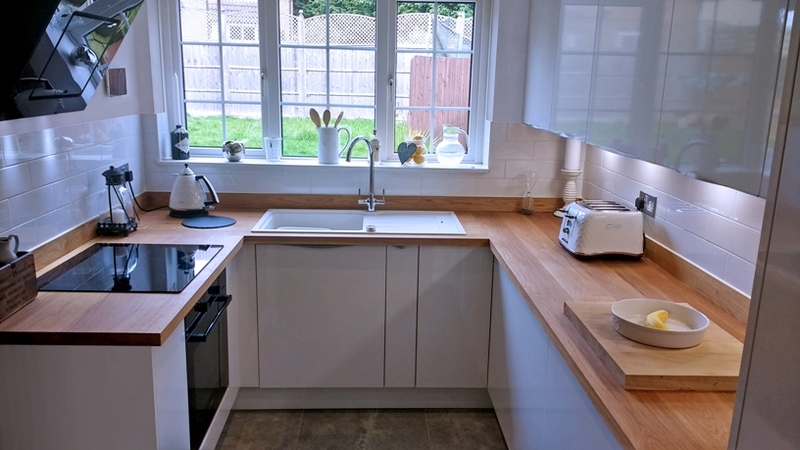 The Kitchen is fab & we’re really happy with it. 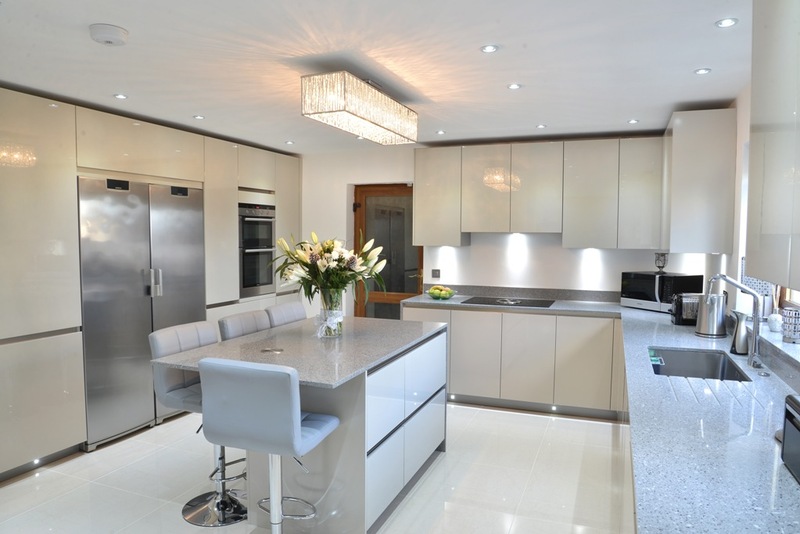 The showroom you recommended was really helpful & the kitchen is great. We would never have thought of using them without your suggestion. 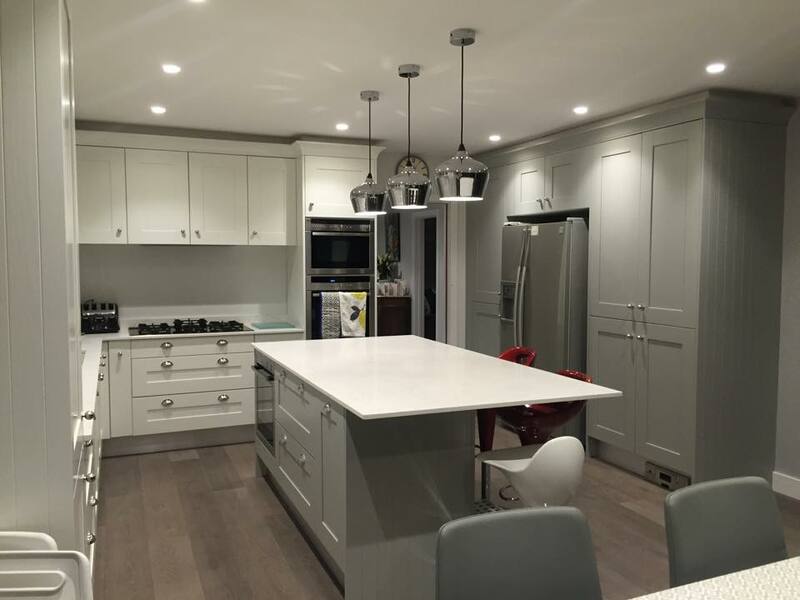 Although the quote from the showroom Lloyd recommended was only a few hundred pounds less than Howdens, the quality of the kitchen was so much better. The door Howdens offered us was imitation walnut. 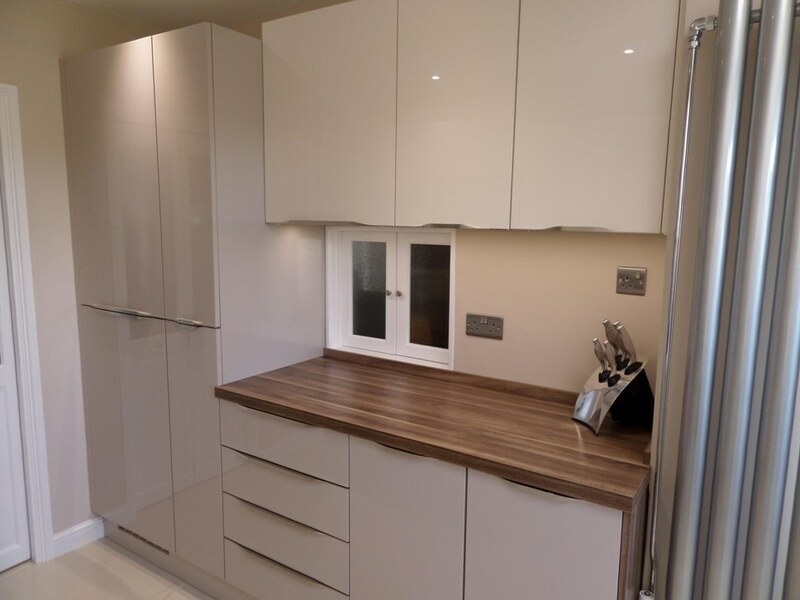 However, the showroom Lloyd recommended offered us a real walnut door & you could tell the difference. 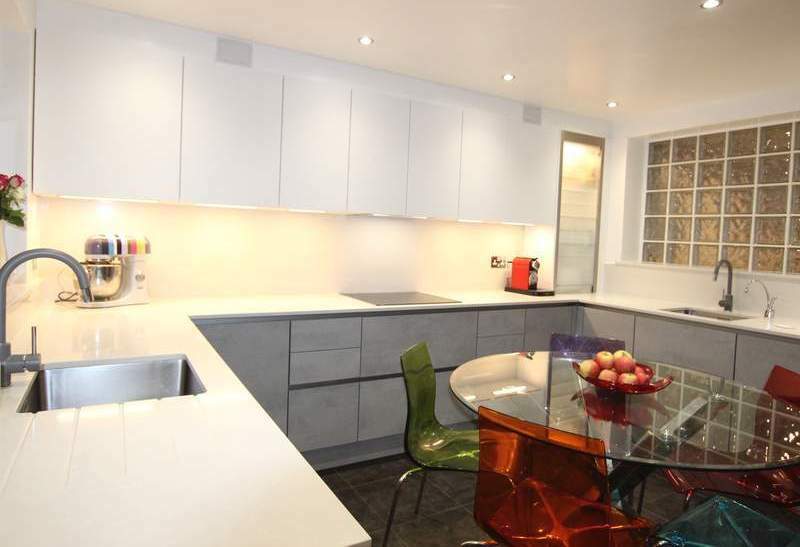 Also, the backs in the Howdens units seemed much thinner & flimsier than the ones from the showroom. 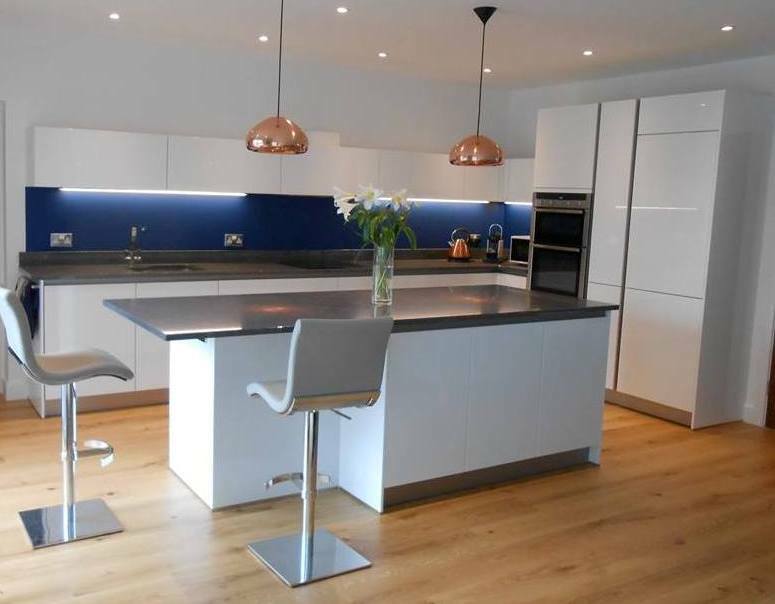 Thanks to Lloyd, I’ve just ordered the most beautiful kitchen at an amazing price. 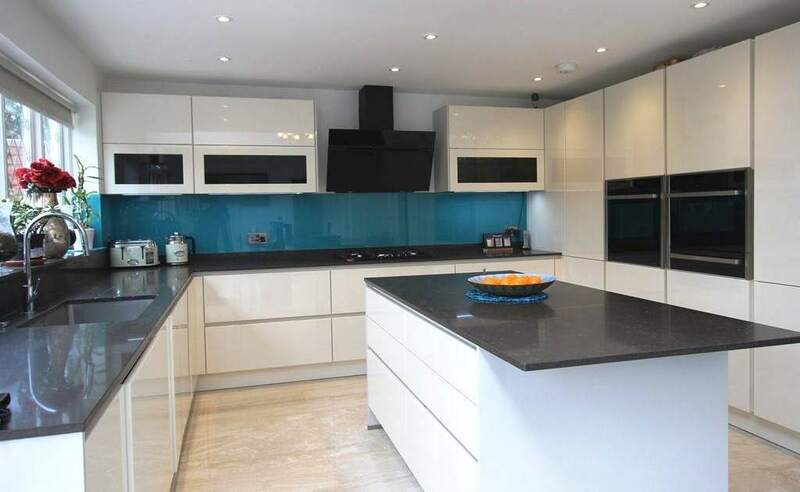 I Just wanted to let you know that the showroom you recommended have just finished our kitchen. 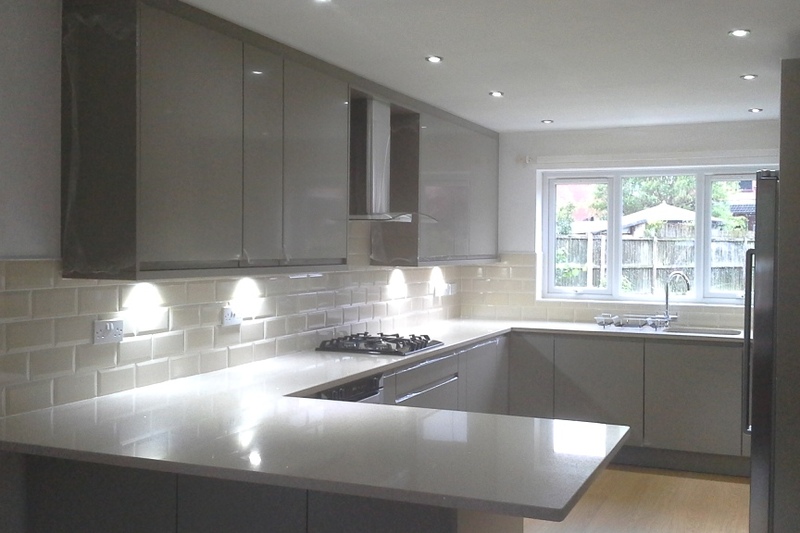 We are really pleased with it and have nothing but praise for the work done. All the workmen were great and Tony was completely on the ball the whole time. I wouldn’t hesitate to recommend them. 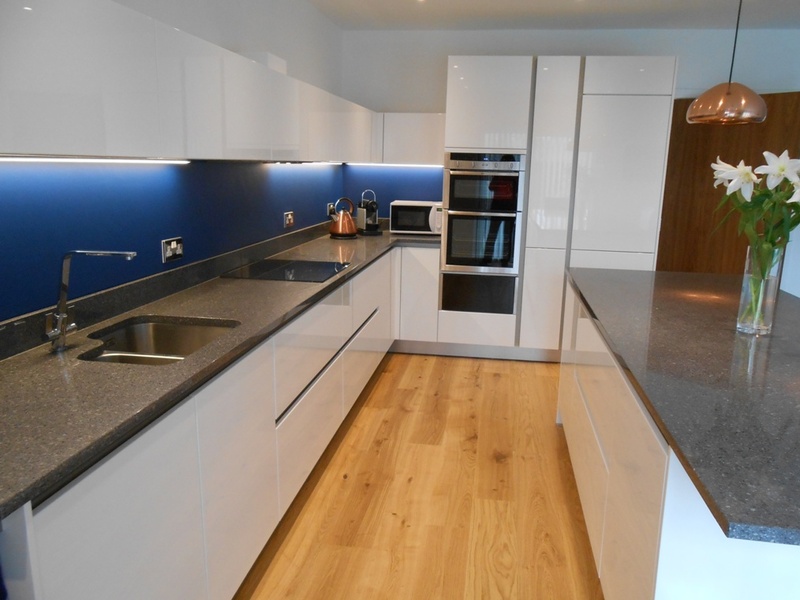 We were also pleased with the final price, compared to others we looked at. 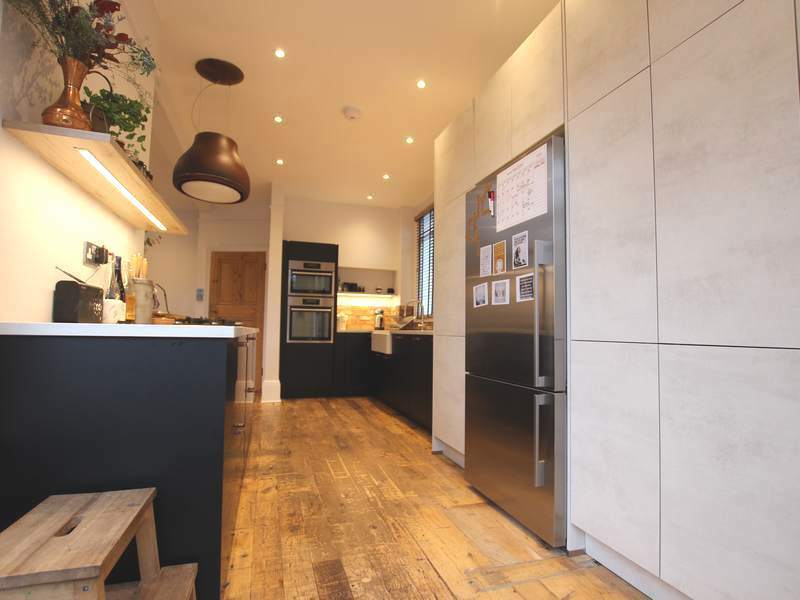 Lloyd helped us find our incredible new kitchen. He is knowledgeable, honest and passionate about what he does. 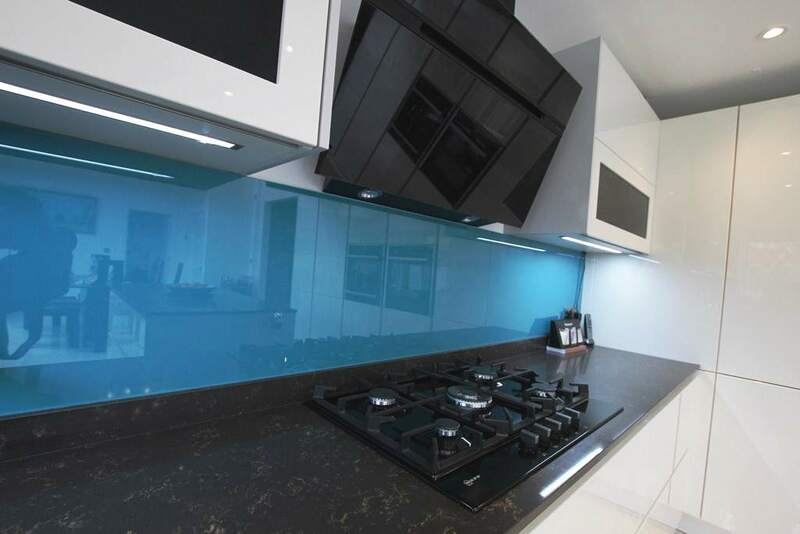 We'll email you the details of the best value showrooms to contact for a free quote. We'll also ask the showrooms to contact you if they don't hear from you within a day or so. If you'd prefer not to be contacted, let us know.